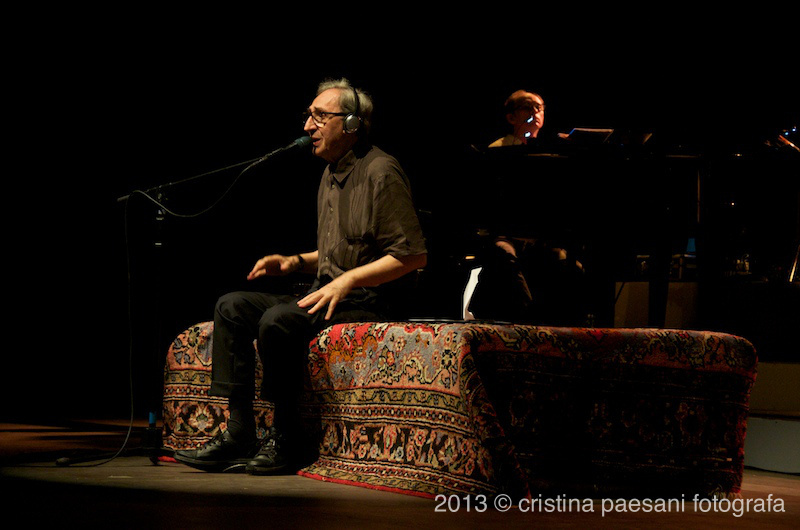 We’ve received and very gladly publish this concert review, written with great intelligence and impartiality by Augusto Cinelli. 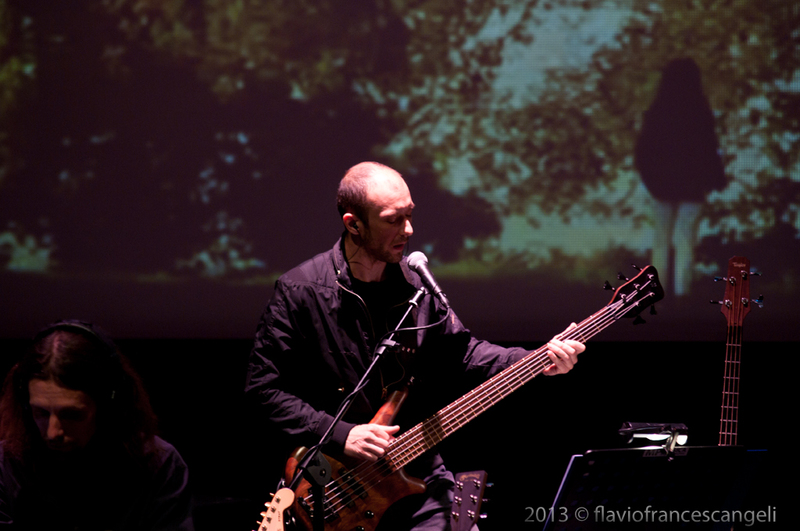 Thanks Augusto! 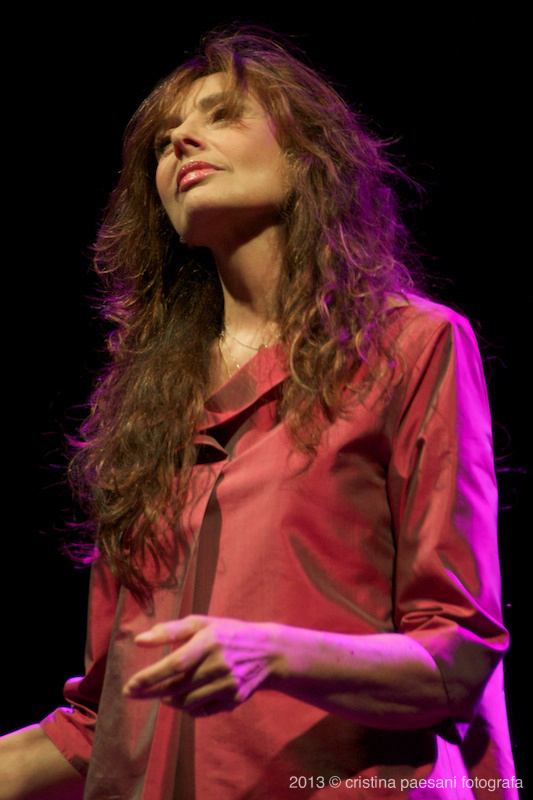 An undisputed Master and a great artist who enchants with her class. 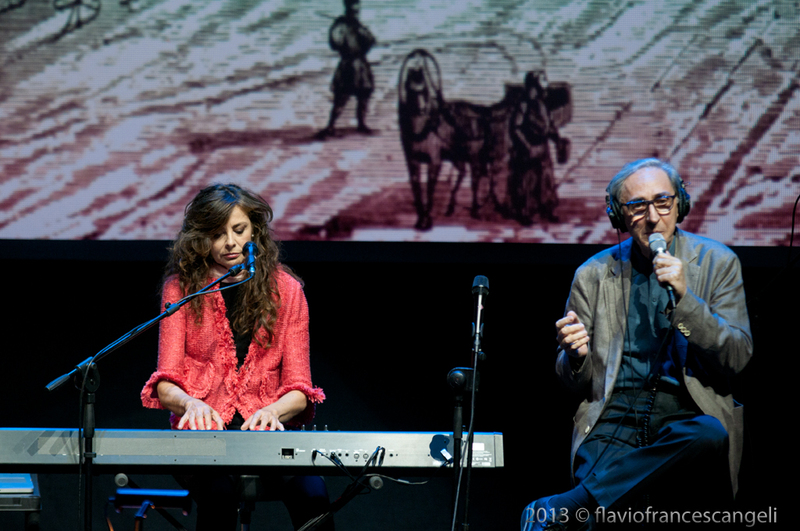 Franco Battiato and Alice, since 33 years from their first artistic encounter which marked the beginning of the success of Carla Bissi (the real name of the artist from Forlì, who in that year changed her stage name Alice Visconti into Alice, simply), got wonderfully together on stage last night, Tuesday, July 30, 2013, at the Grandi Eventi Arena in the Latina Expo fairgrounds, for a double concert that had the flavor of a unique, and probably unrepeatable, event. 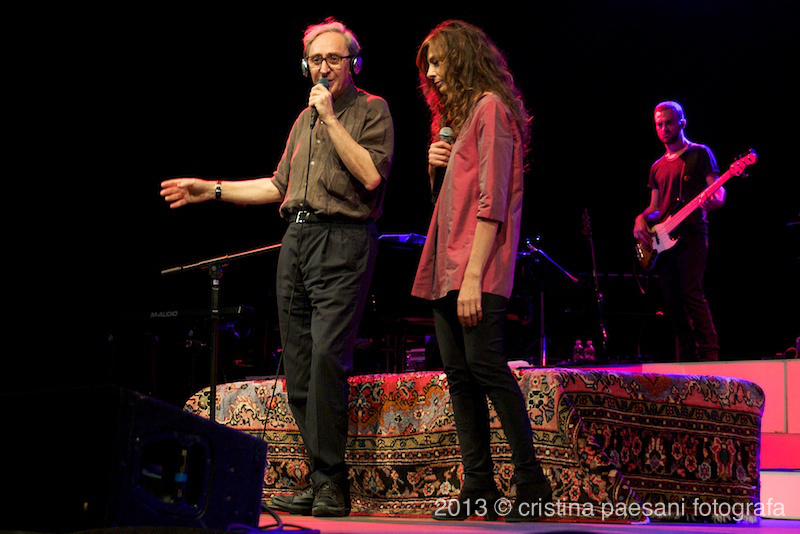 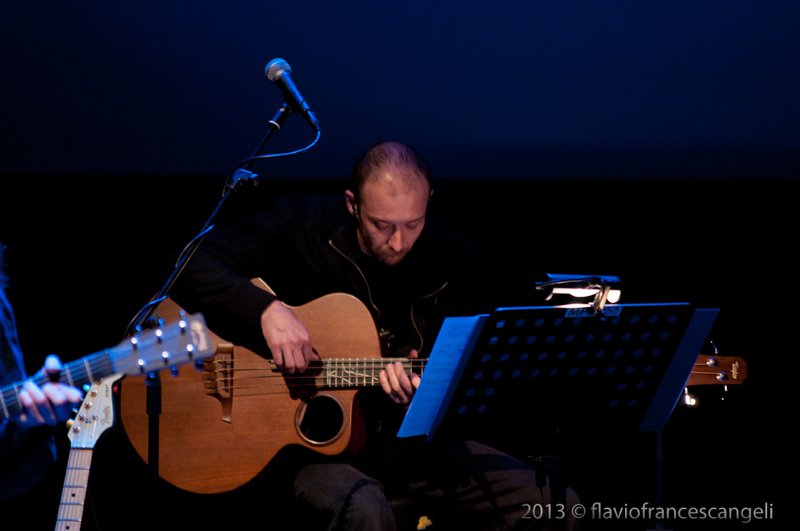 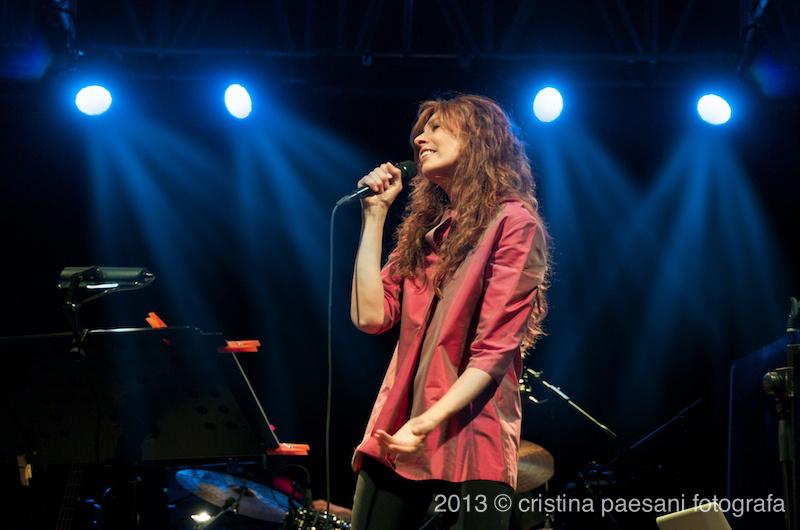 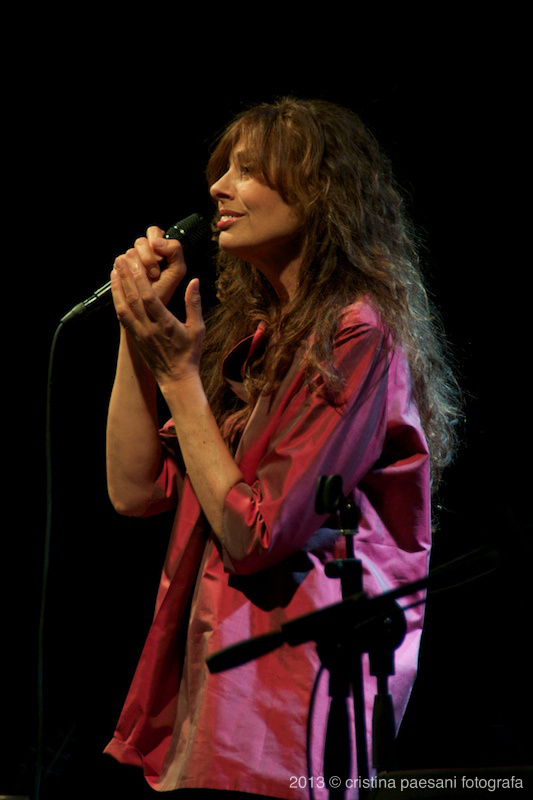 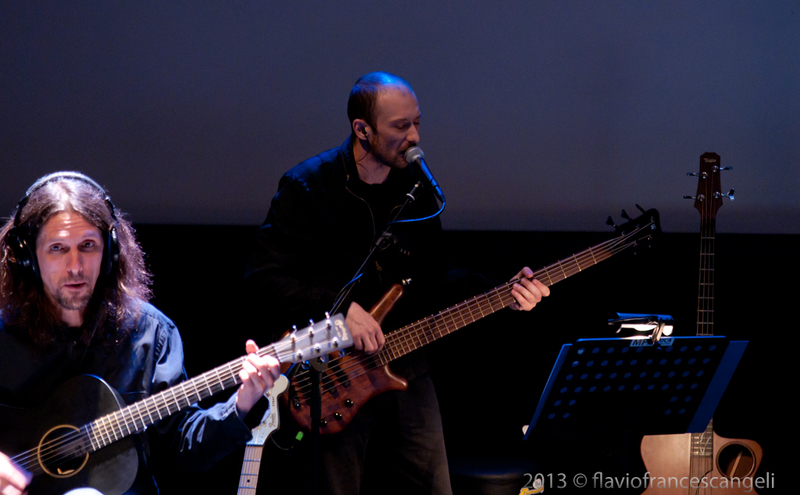 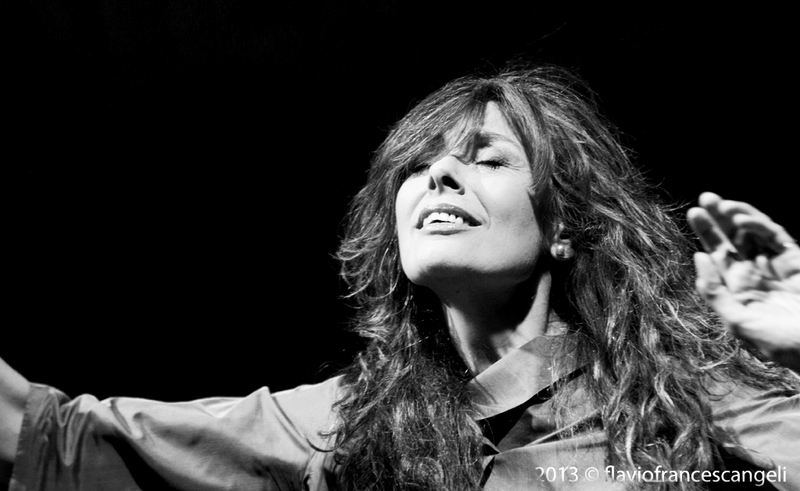 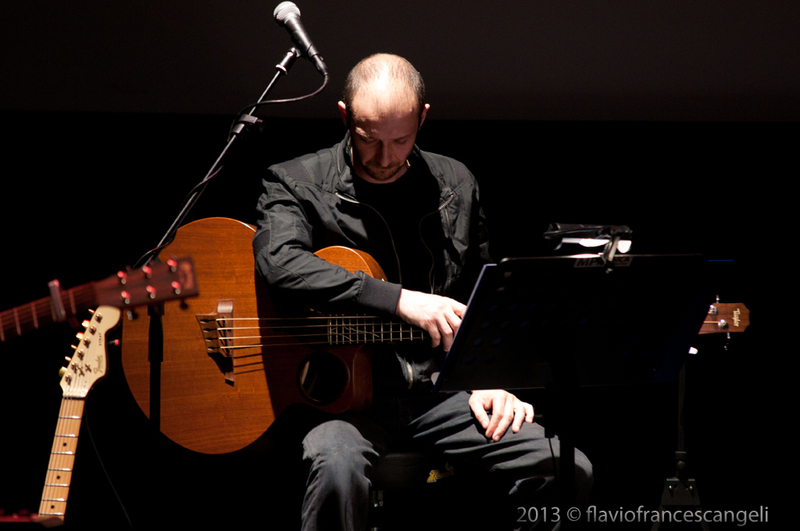 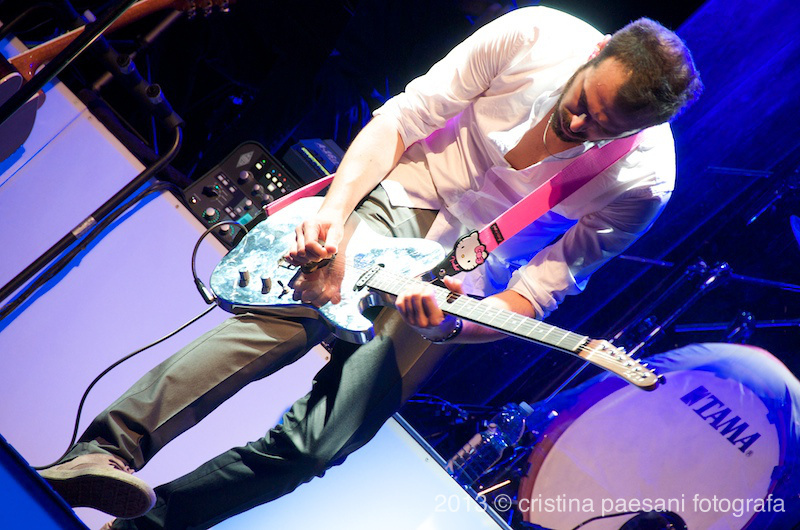 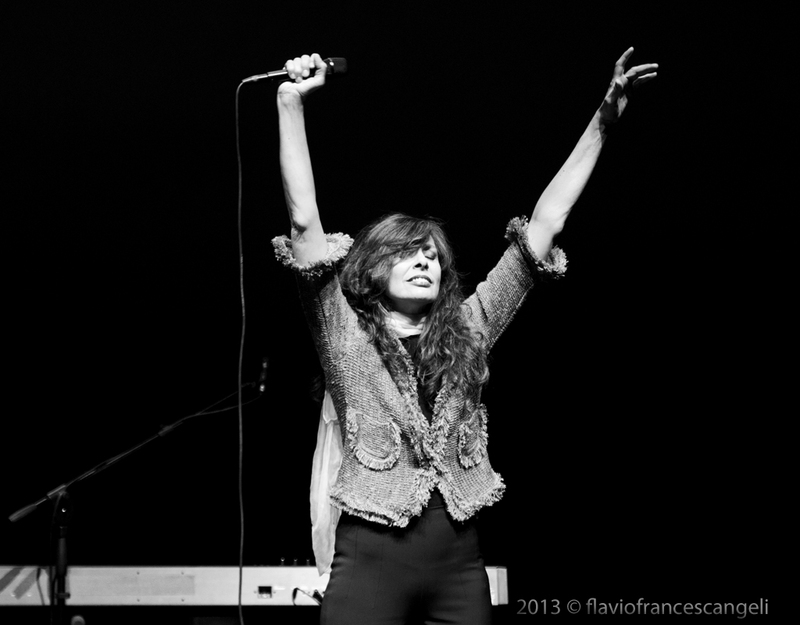 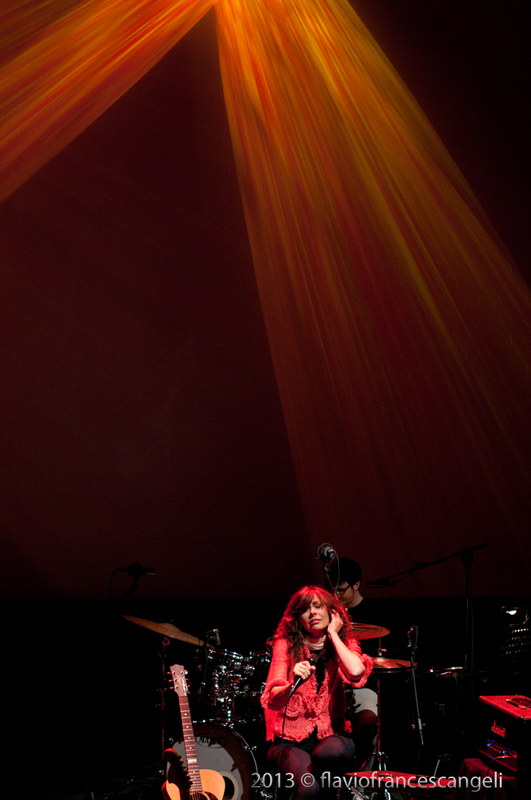 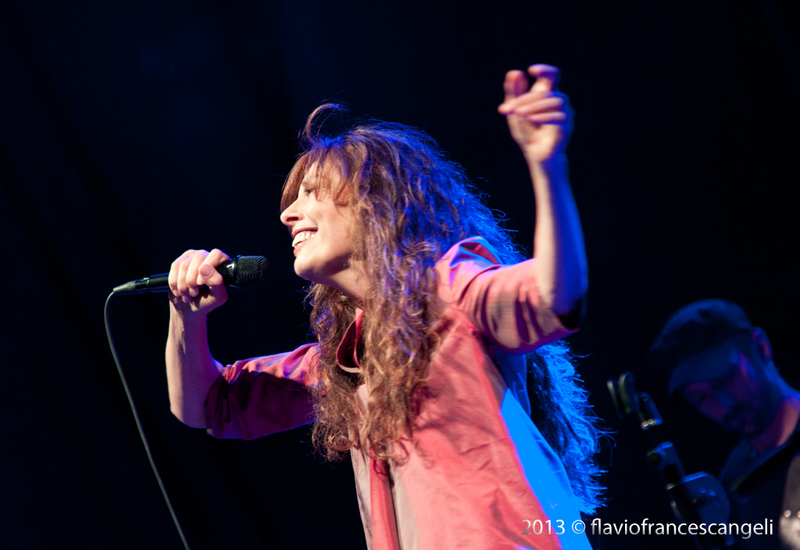 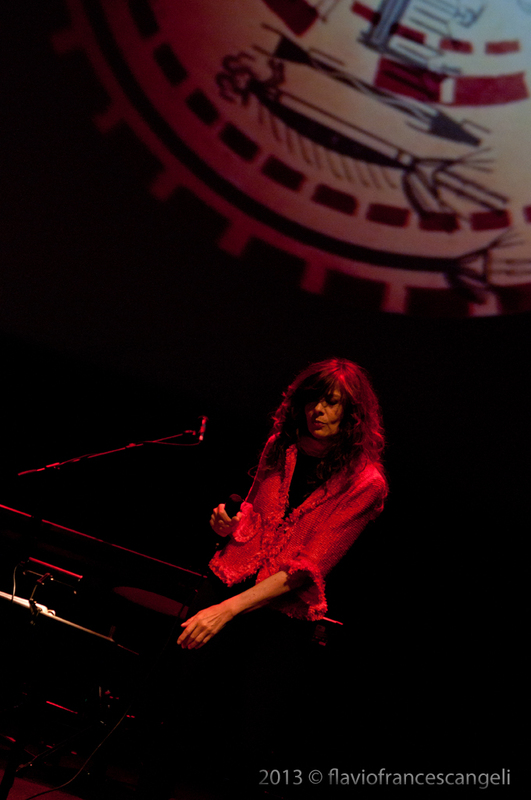 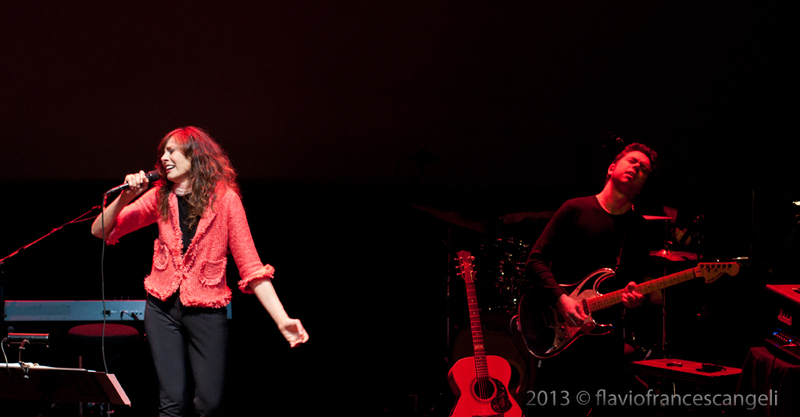 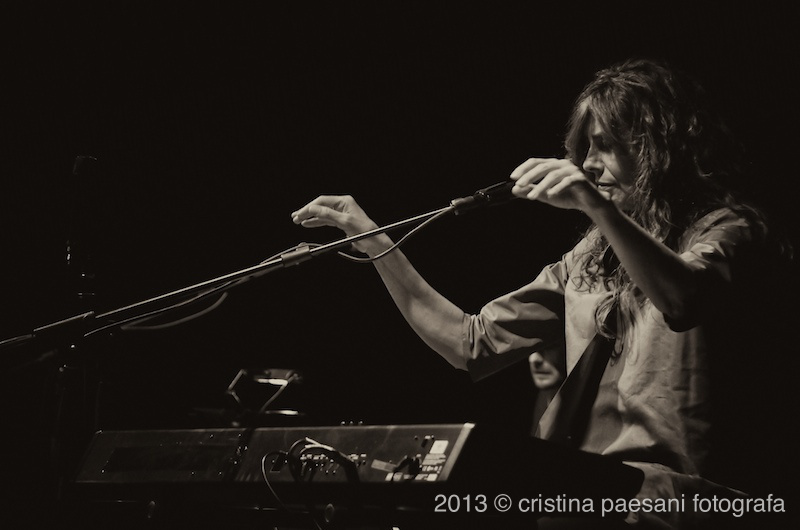 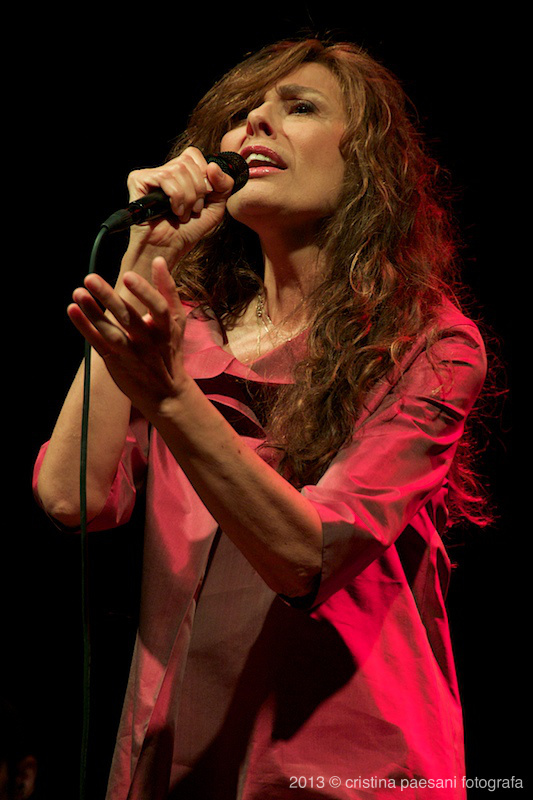 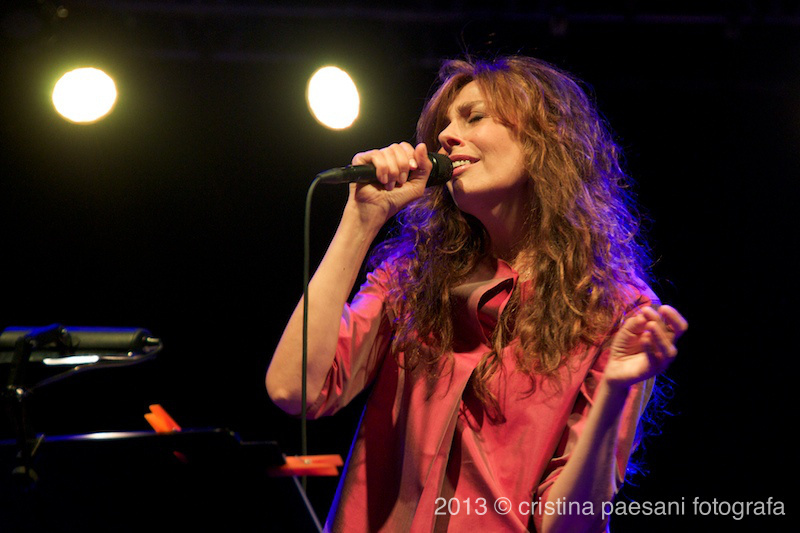 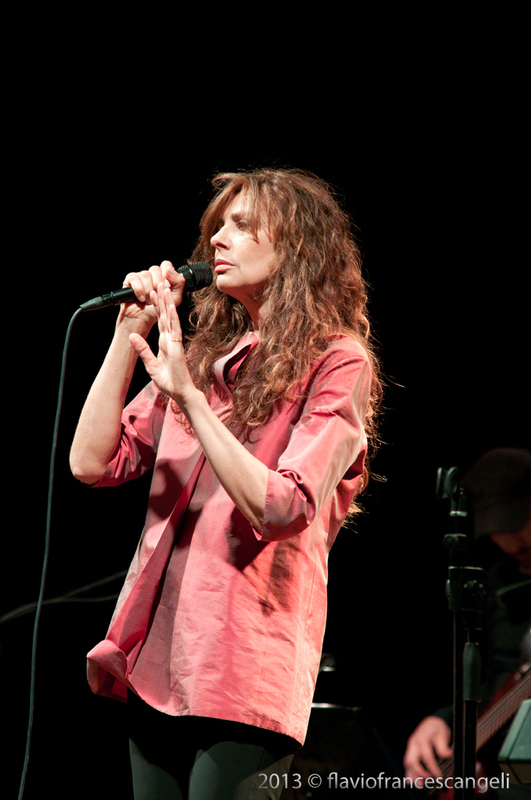 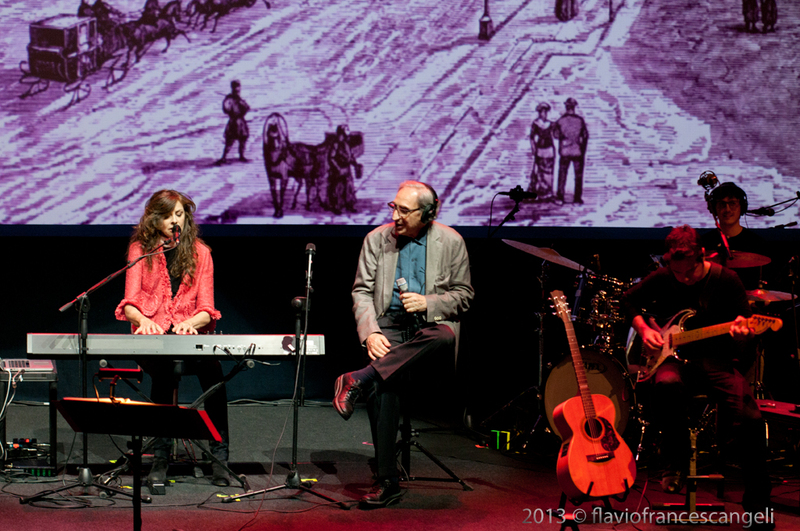 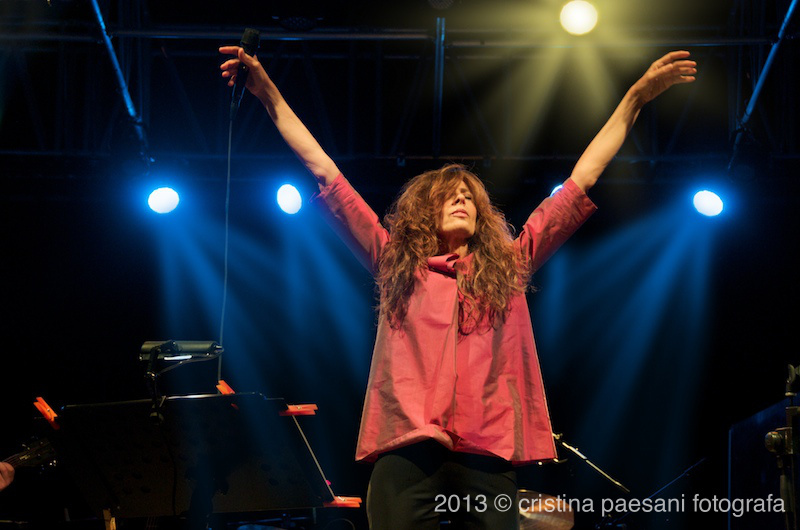 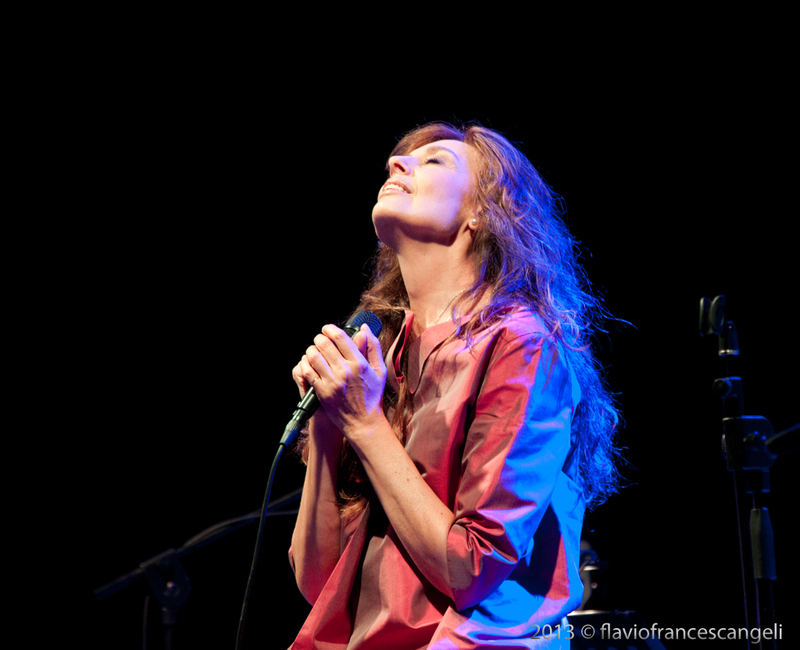 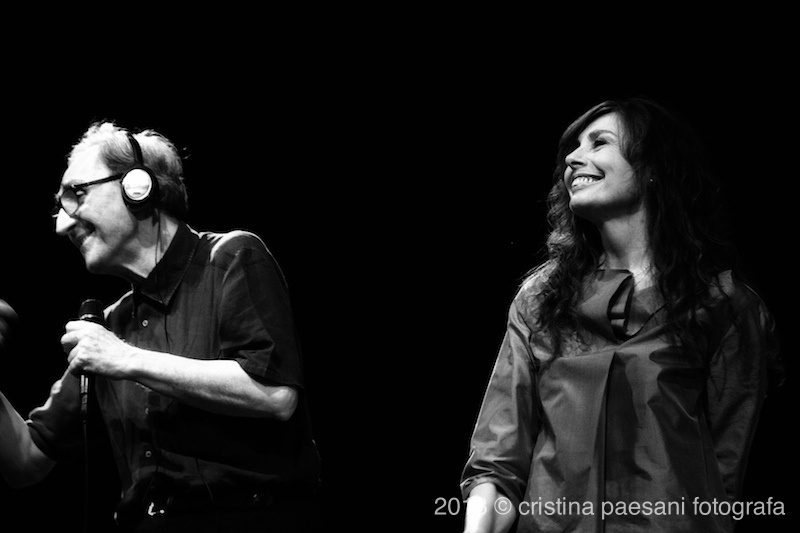 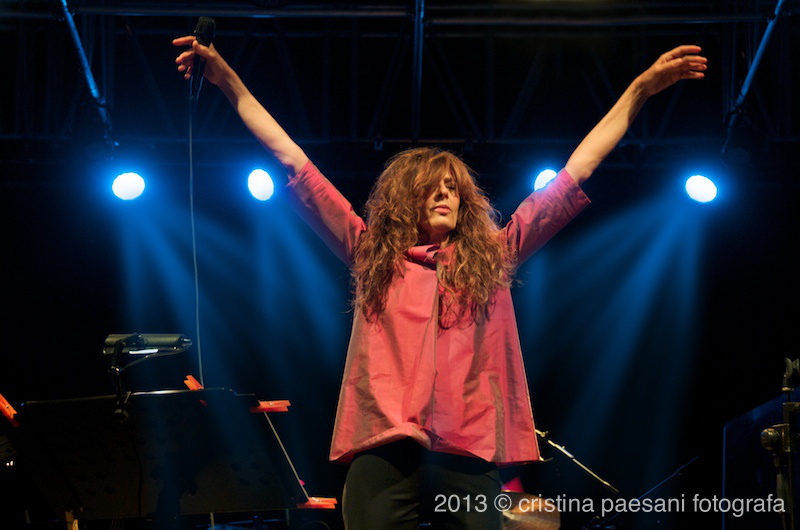 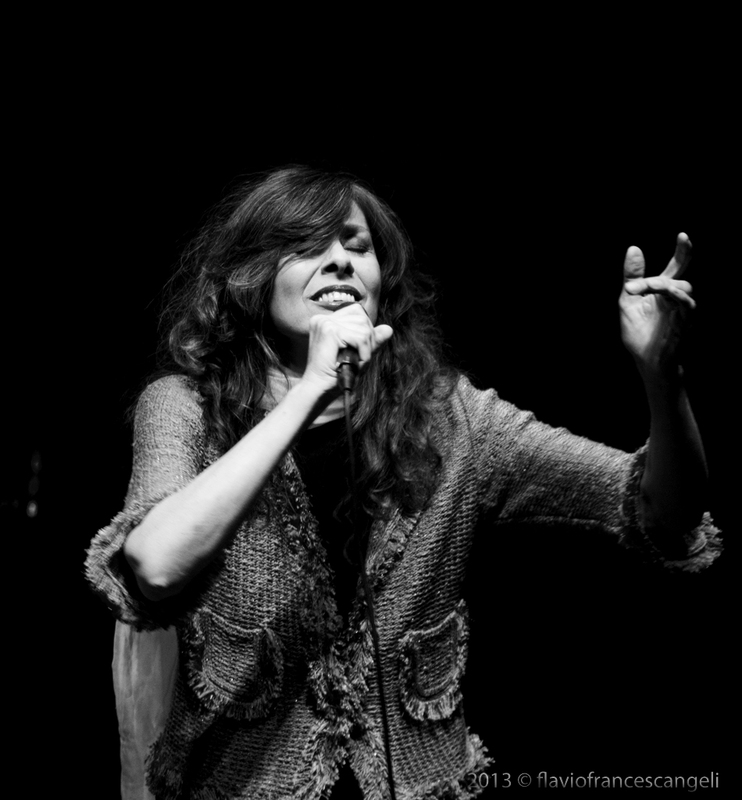 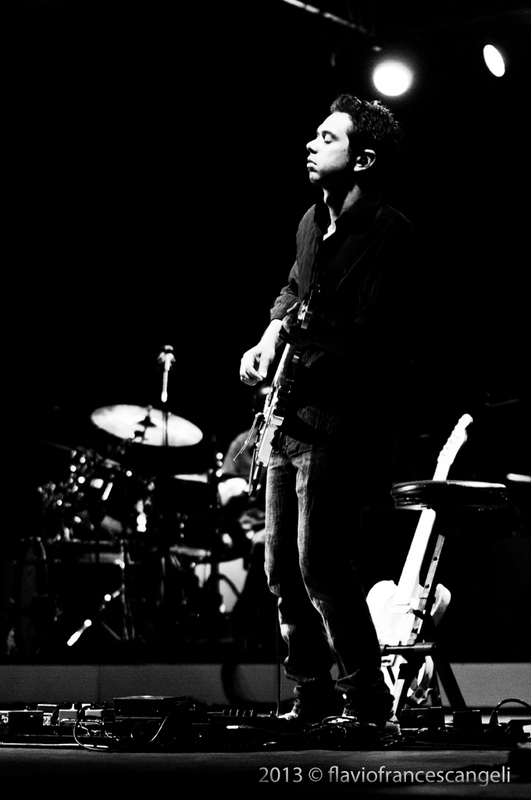 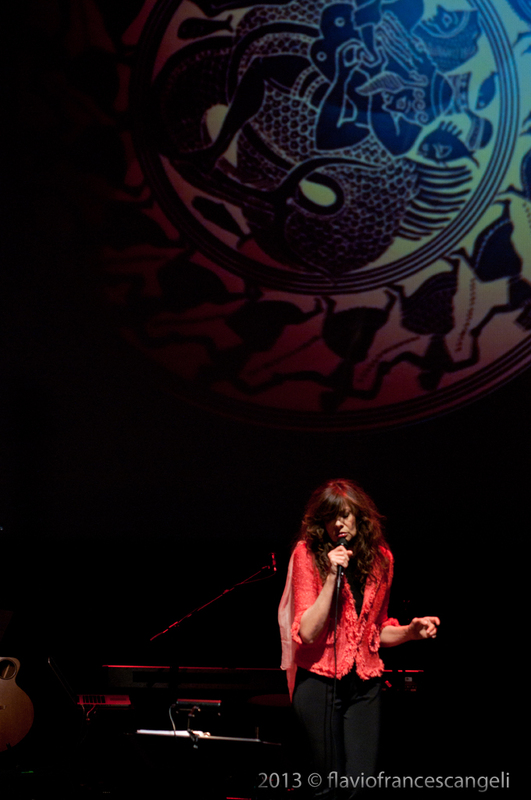 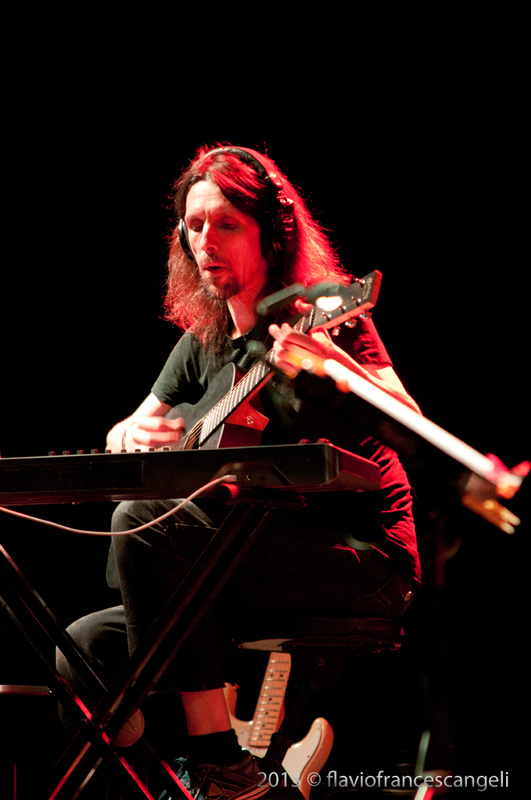 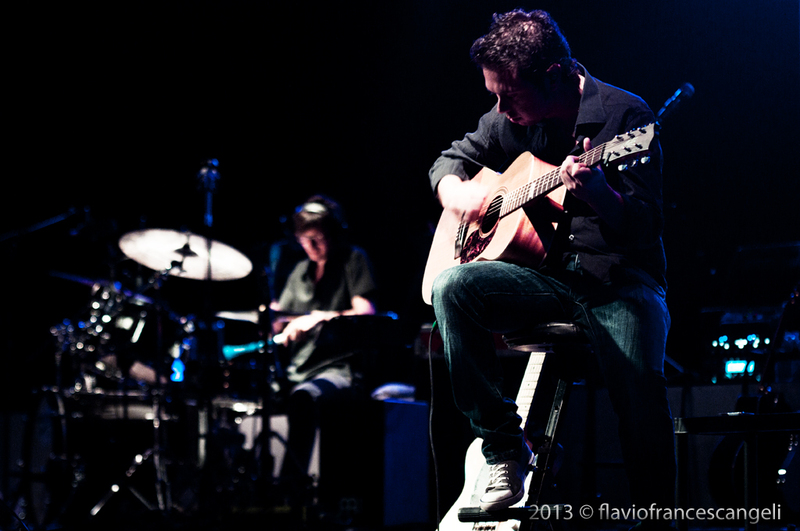 The beautiful evening of Latina, a nearly three-hour show, including of course the performance of the two together, which to be honest, could have been much longer, has been propitiated by the recent simultaneous comeback with a record and a tour of both the Sicilian singer-songwriter and the artist from Forlì. 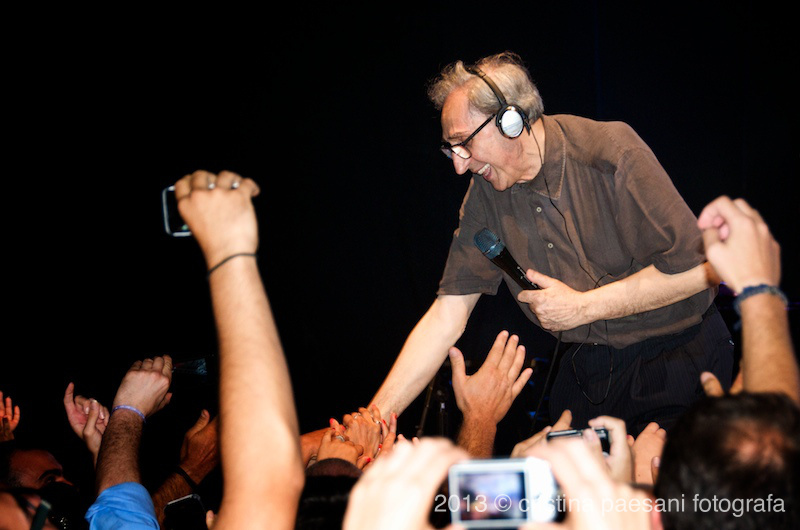 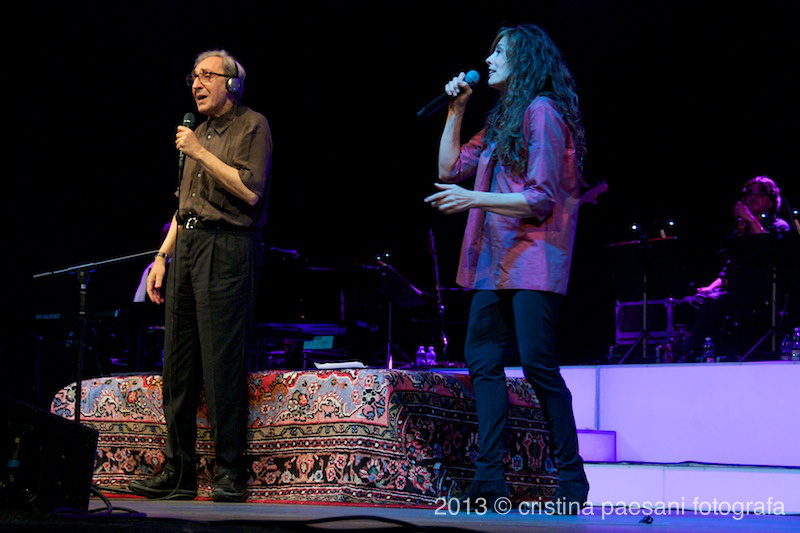 In the fall of 2012 Battiato released the amazing “Apriti Sesamo” that got a significant sales success, which was followed by the successful omonimous theater tour which recorded four “sold-out” nights at the Conciliazione Auditorium in Rome. 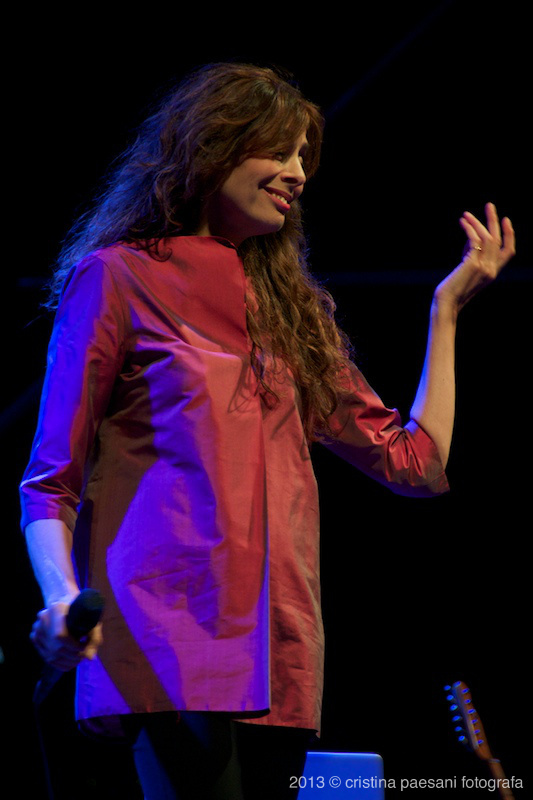 Alice, as far as she’s concerned, has come back in September with an unpublished work after 14 years since her last (“Exit”, in ’98, which, however, the talented performer, composer and musician has backed up with numerous concerts in original contexts, and some CDs which included re-interpretations, anthologies, the search for the sacred in music, and a live record). 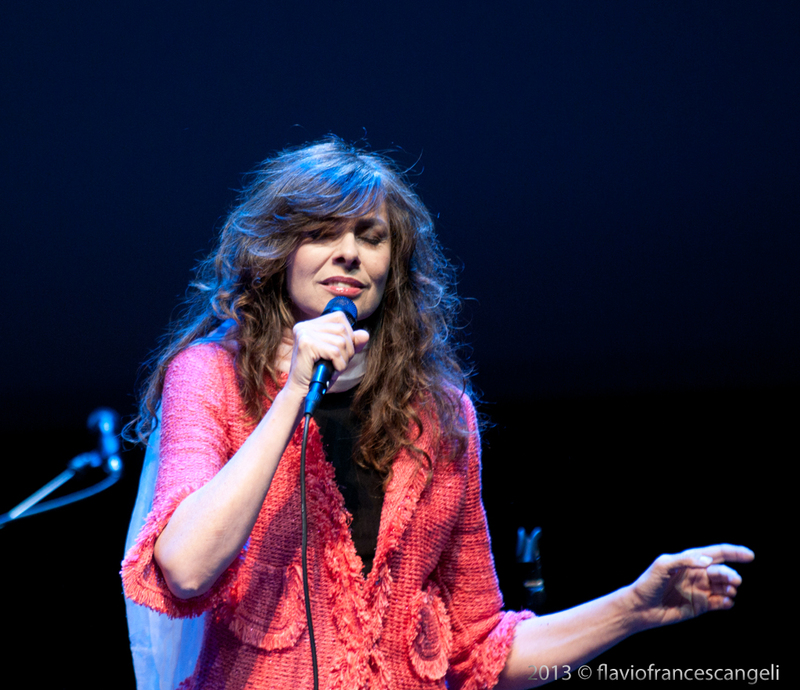 In “Samsara”, this is the title of her new interesting work, brought up to theaters last winter, Alice sang songs written for her by Tiziano Ferro, Mino di Martino and the same Battiato, along with something of her own and her tributes to two great bereaved artists such as Lucio Dalla and Giuni Russo. 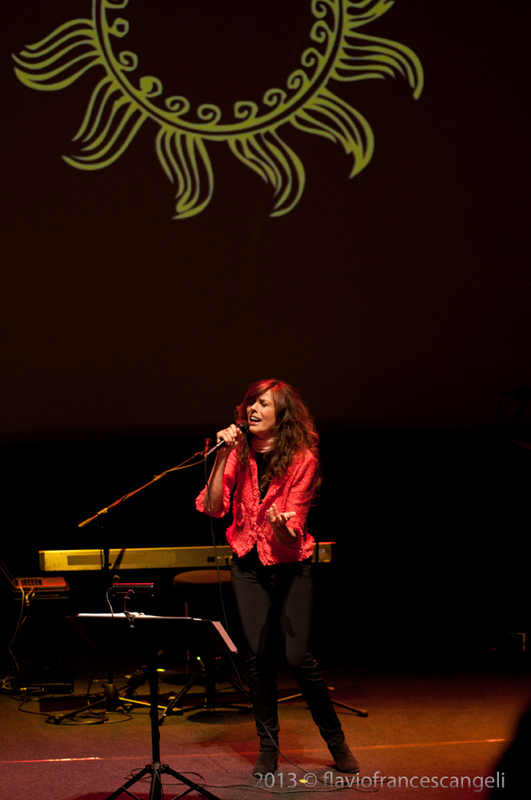 The concert of Latina therefore offered to an enthusiastic and particularly intrigued -by such a scheming pair- public a taste of both tours, sone curtailed, for obvious reason of time, songs from the theater concerts playlists, as well as, unfortunately, some interesting videos projected in the indoor evenings. 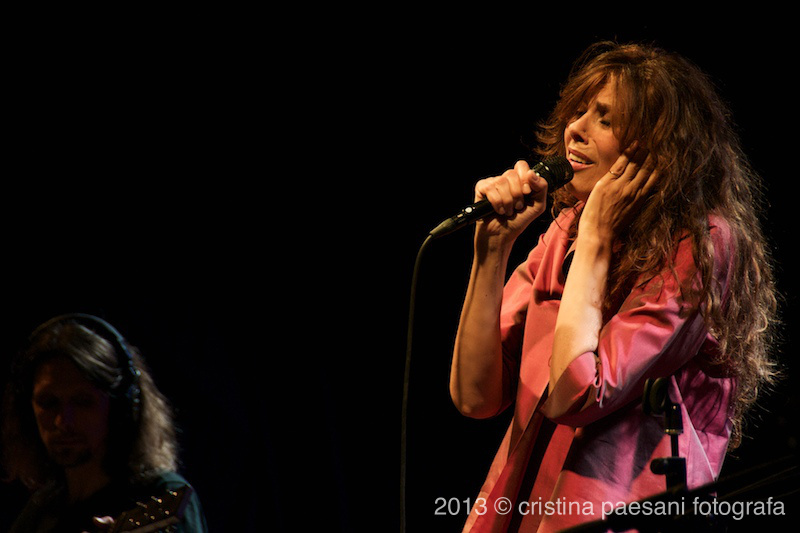 And the icing on the cake came naturally from the moment of the show in which the two were both on stage to reinterpret some great “couple” hits of the eighties. 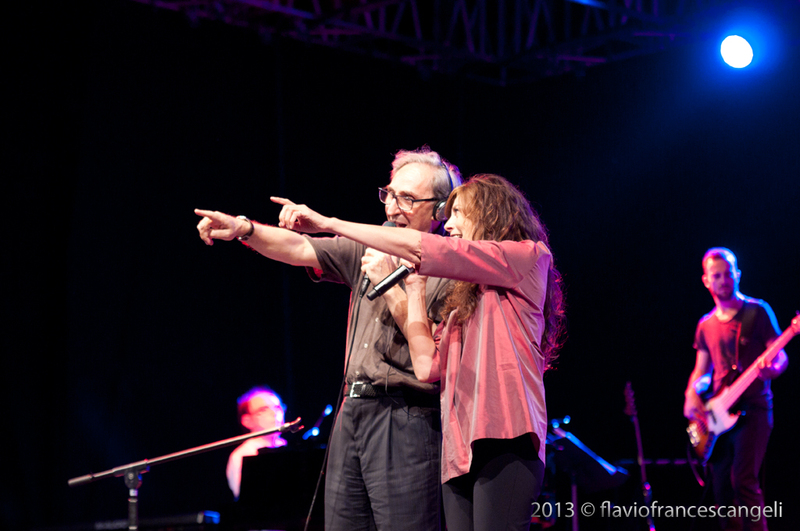 Right the years in which, as mentioned, Battiato and Alice climbed the charts in Italy and a good part of Europe. 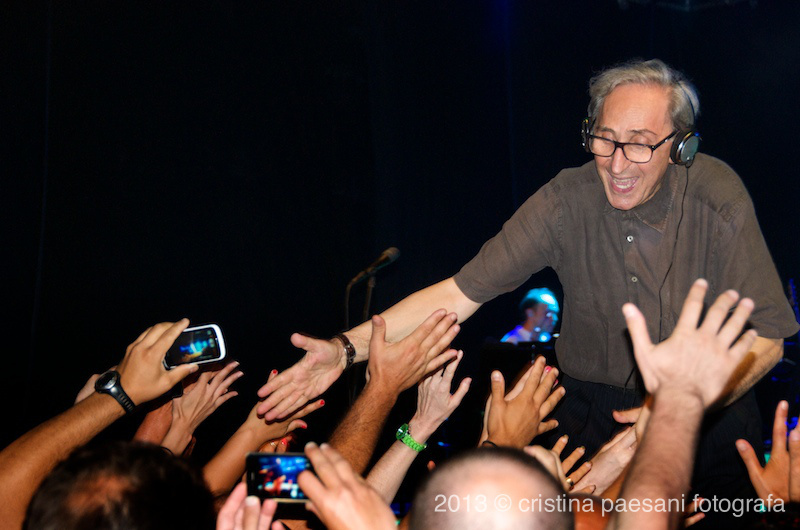 For Battiato the spark with the audience flashed up with the album “L’era del Cinghiale Bianco”, actually released in ’79, and “Patriots” to explode, however, with “La Voce del Padrone “, the first album to sell in Italy, between 1981 and 1982, more than one million copies. 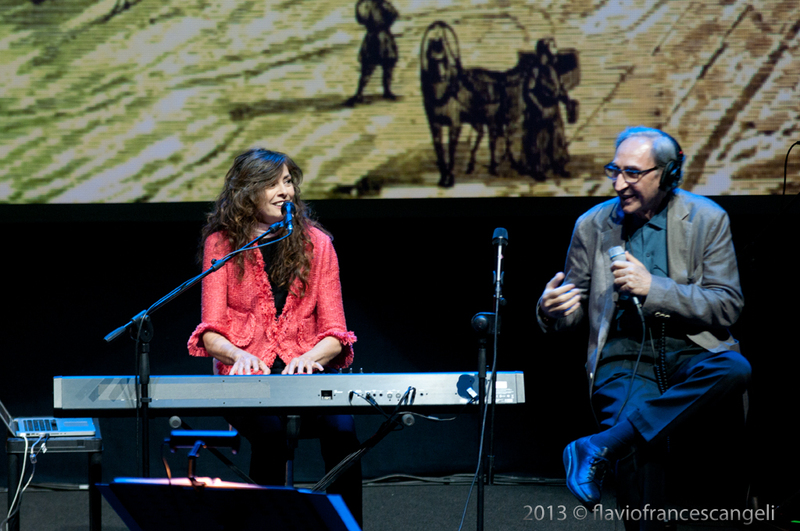 In the same year comes the surprise Alice, with whom, and along with the help of close friend Giusto Pio, Battiato first manufactures the album “Caponord” , driven by the single “Il Vento caldo dell’Estate”, and then, in ’81, the song “Per Elisa”, which surprisingly won that year’s edition of the Sanremo Festival. 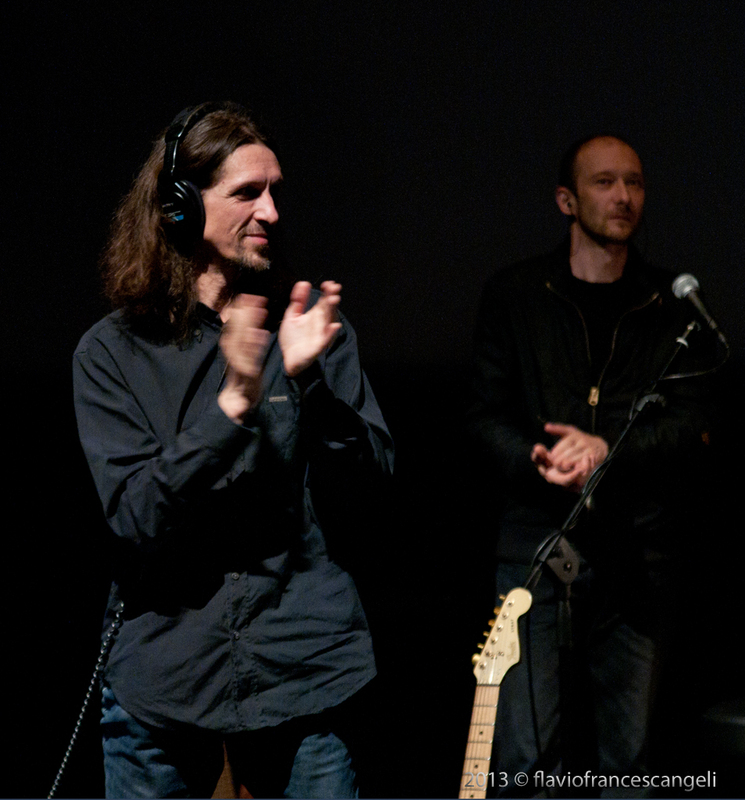 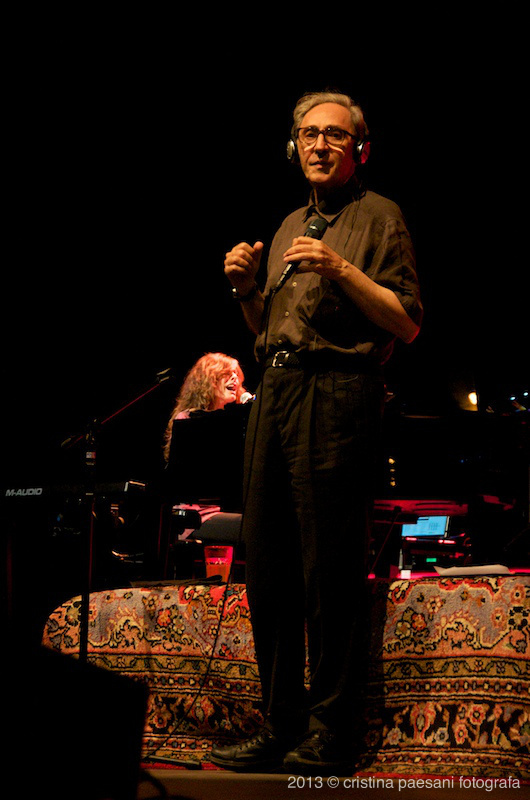 From there, other successful collaborations followed, with the climax of “I Treni di Tozeur”, a song in which the duo-Battiato Alice obtains a flattering placement at the 1984 Eurofestival, event tha year hosted in Luxembourg, followed by increasing sales and audience success in most parts of Europe. 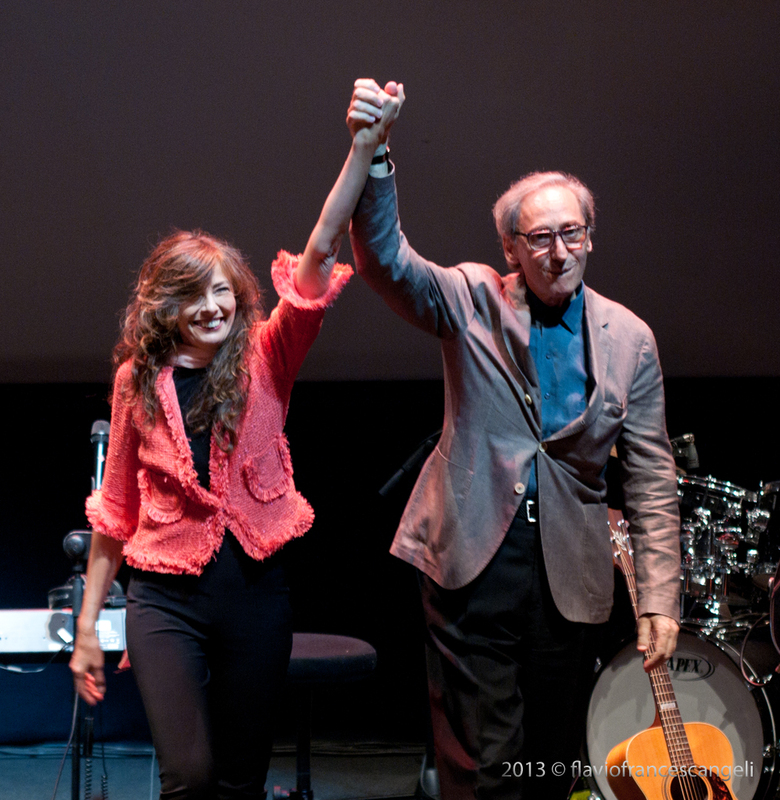 Although never completely divided, the artistic path of the two then took different directions: the original and eclectic path of Battiato, between masterpieces of pop music, forays in Opera music and film directing and the musical and interpretive breaktrough of Alice, who immediately after her ’85 work “Gioelli Rubati”, entirely dedicated to the interpretation of Battiato’s songs, with the amazing “Park Hotel” in 1986, perhaps her best record overall, takes on a very personal direction, thanks to the collaboration with Francesco Messina and prestigious names in the international music scene such as Tony Levin, Jerry Marotta and Phil Manzanera. 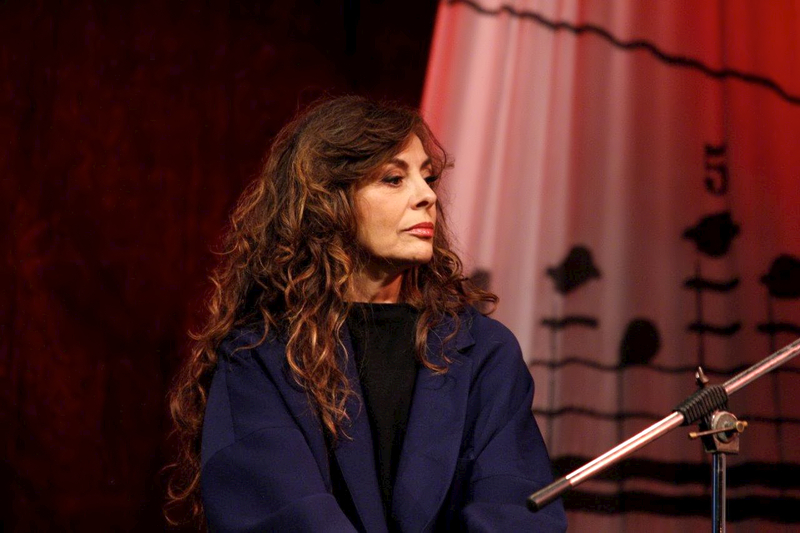 And though the charts would then host her again in ’89 with the sophisticated “Il sole nella Pioggia”, the musical production of Alice, while getting away from the most obvious and profitable channels of commerce, has nonetheless not lost any glaze over the past two decades. 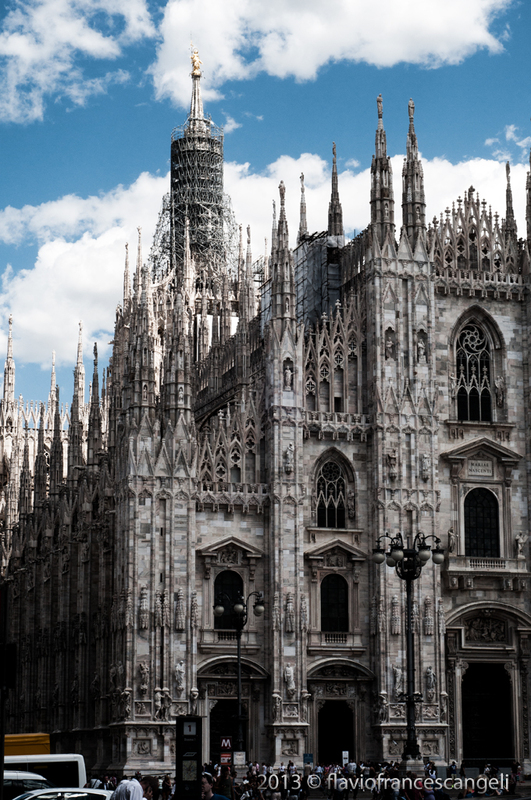 Indeed, it unfolded on original and brave territories, away from the general audience and with rare quality results, revealed above all in live performances, even, at some points in time, in churches and cathedrals of the Italian peninsula. 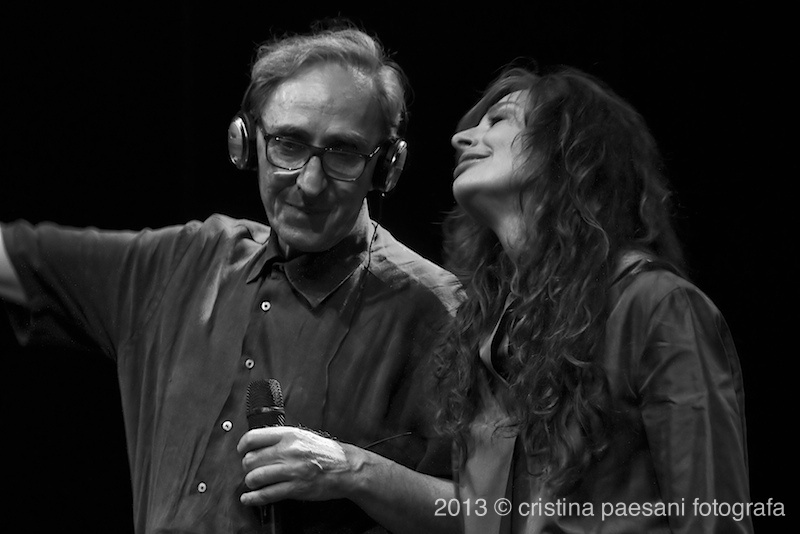 After all these years, to see them together, Master Franco Battiato from Riposto (Catania), 68 years of joie de vivre, and elegant Carla Bissi, aka Alice, who doesn’t look her age at all, charming smile, voice-and hair- still wonderful like in the golden years, one gets the impression that time has stopped, and the certainty that, thirty years later, “class will out”. 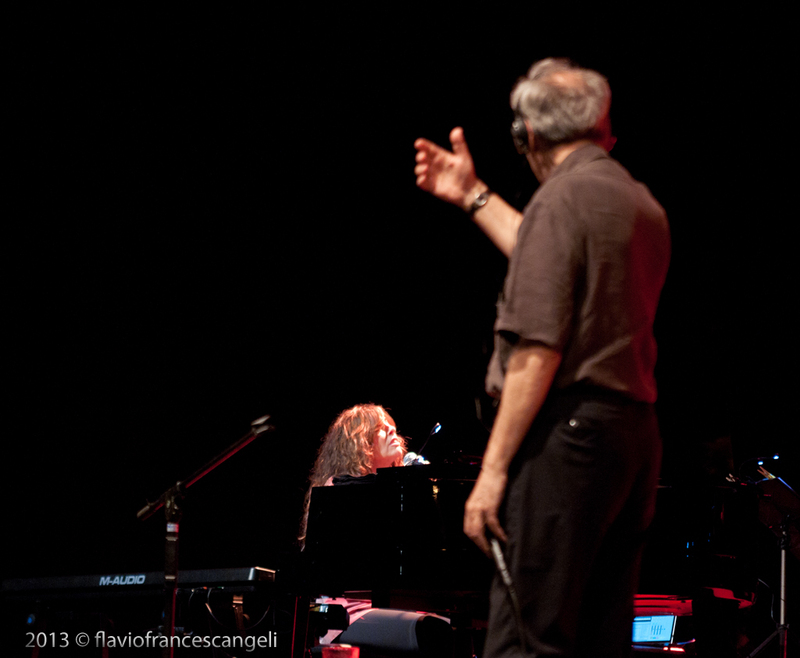 And if Battiato confirms the natural ability to enthrall the audience, the real gem of the evening is Alice’s performance, who sings (and plays the piano at times) beautifully, alternating bass tones of her emotional voice in always enviable performances, and she interprets her songs, almost all of the last “Samsara”, with a unique and elegant style that reflects the space that she has gained in the Italian music scene, supported by introspective, intense and atmosphere music, thanks to the young and talented band that accompanies her (Marco Guarnerio on keyboards and guitars, Osvaldo Di Dio on guitars, Andrea Viti on bass and Nik Taccori on drums). 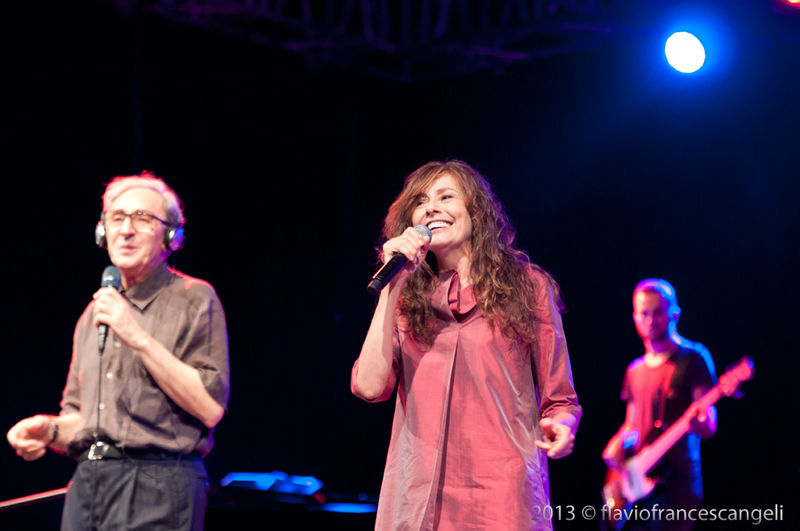 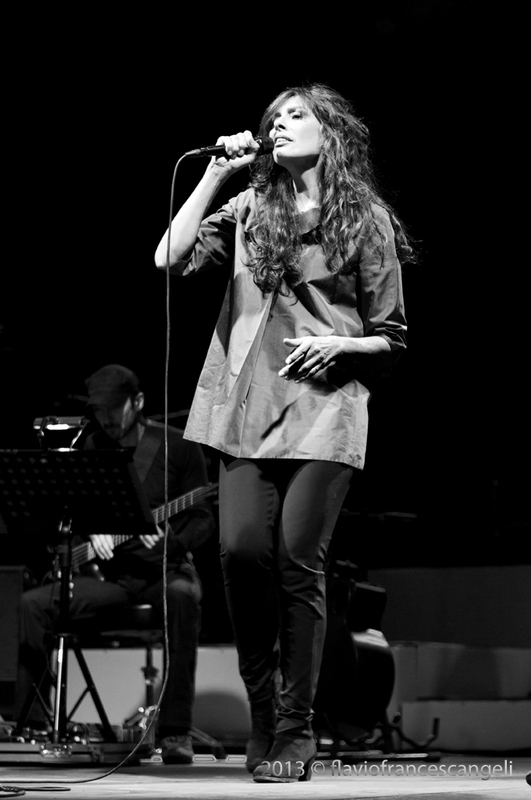 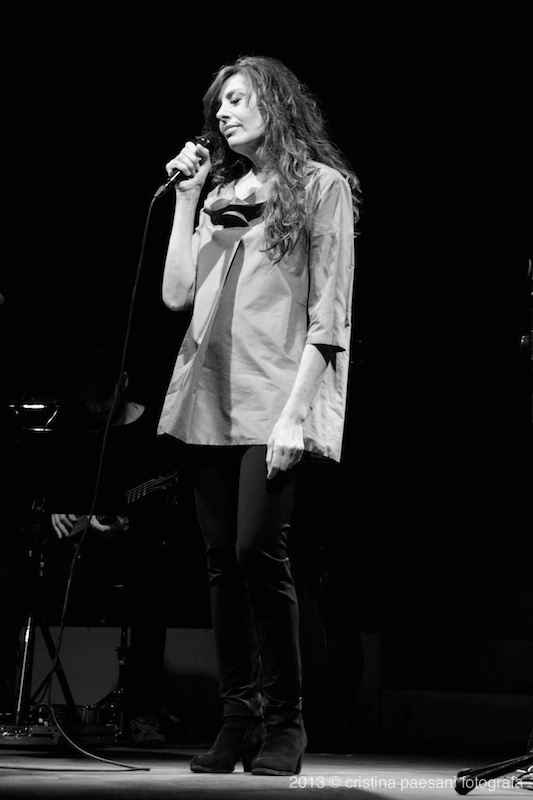 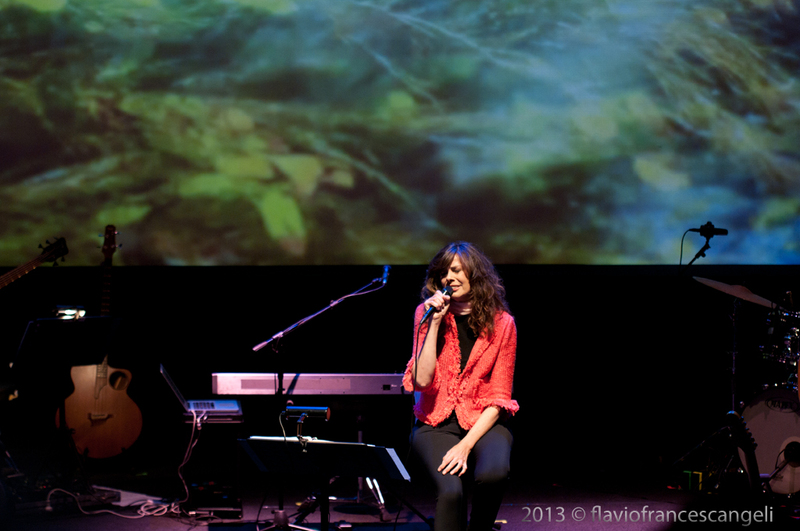 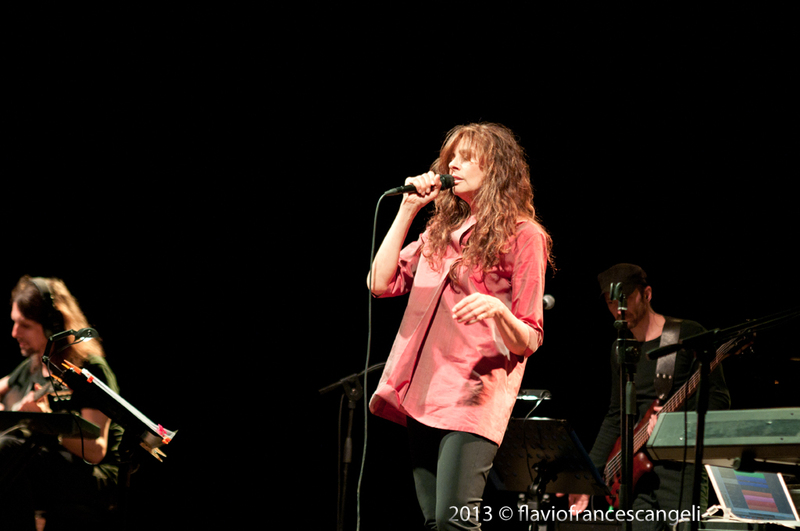 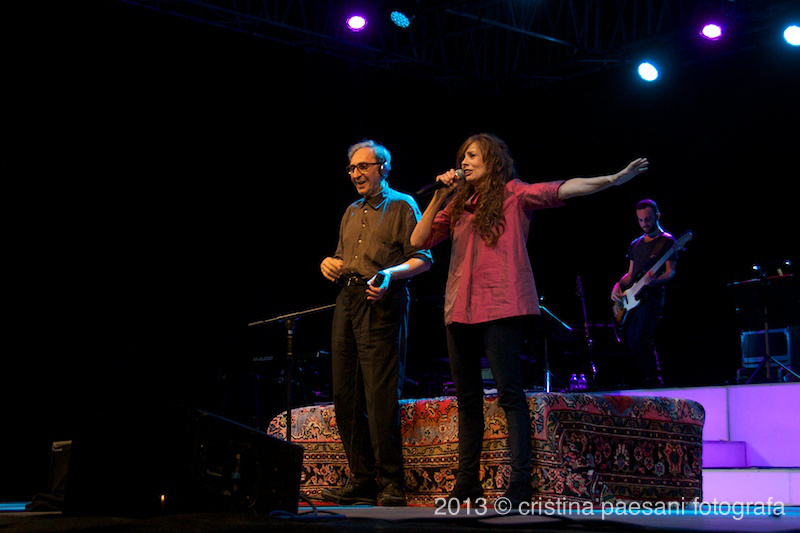 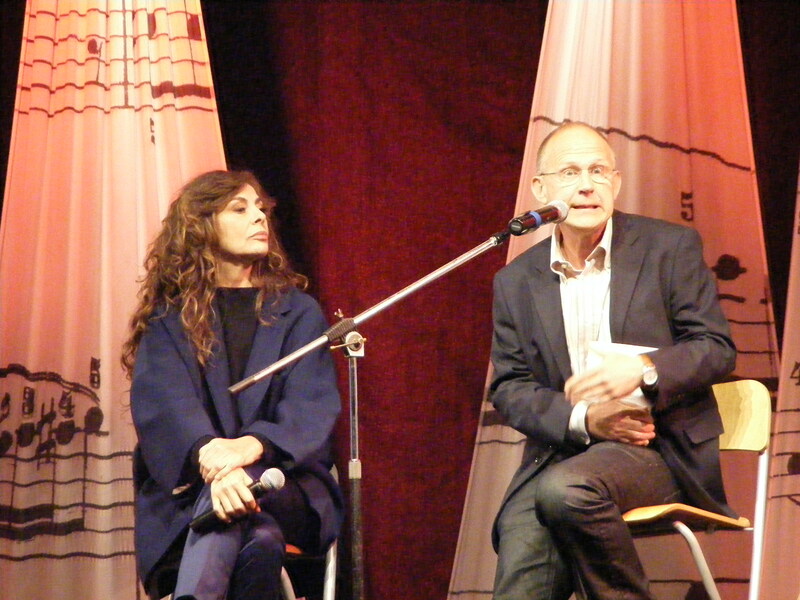 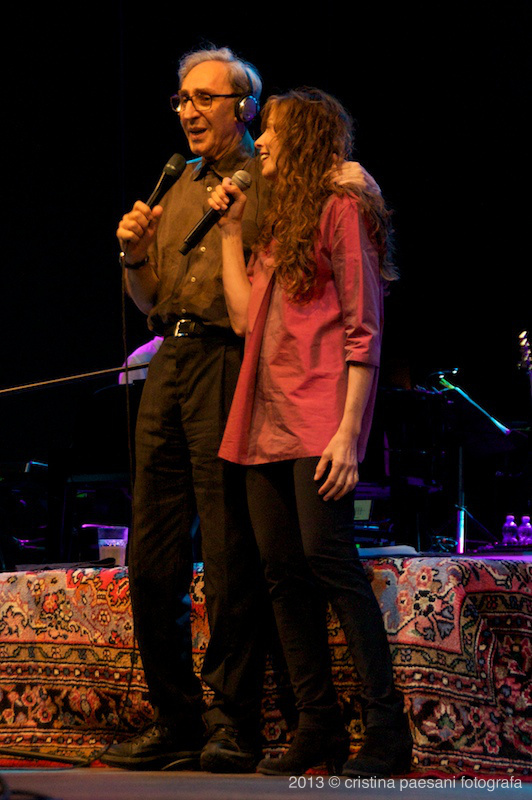 After the opening of the concert, carried out by four songs of the young Sicilian singer Giovanni Caccamo, produced by Battiato, comes Alice, greeted with warmth and affection by the audience, that bestows on her long, heartfelt acknowledgments; she takes the stage for the first hour of the evening, performing, by the way, not-so-easy songs , such as “Autunno Già”, in which texts by Rimbaud and Verlaine are set to music, and the two tracks of the new album written by her: “Sui giardini del mondo” and ” Orientation” (which narrates -as she explains herself- the need to envision each other without the prejudices of our thought patterns) and the yearning “Morire d’Amore”, dedicated to Joan of Arc, in which Alice summons Dostoyevsky and his “beauty will save the world “. 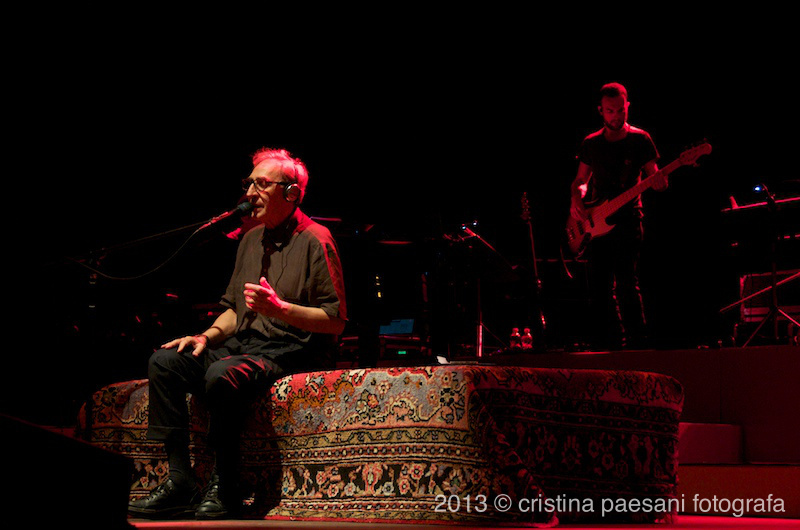 Then there’s the song “of the great Franco Battiato,” the fatalist “Eri con Me”and “Il cielo”, a tribute to Lucio Dalla, all included in “Samsara”. 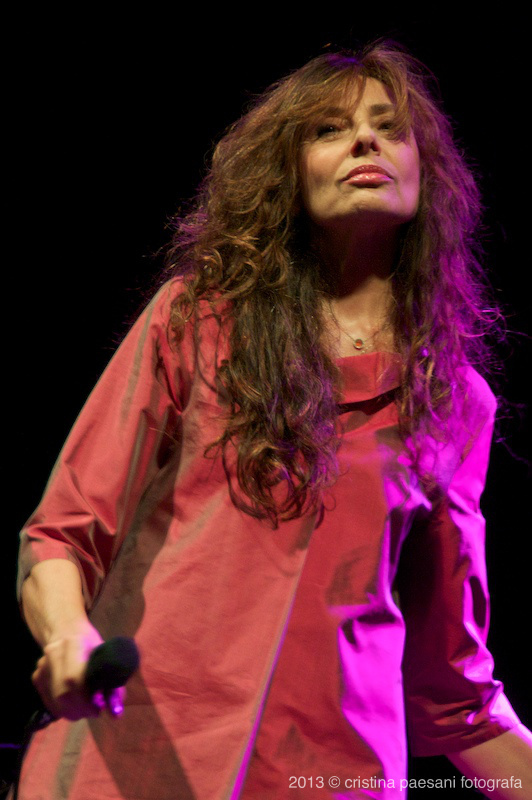 The hit single of the album cannot be missing, that “Nata Ieri” written for her “by an artist who was born right here in Latina: Tiziano Ferro”. 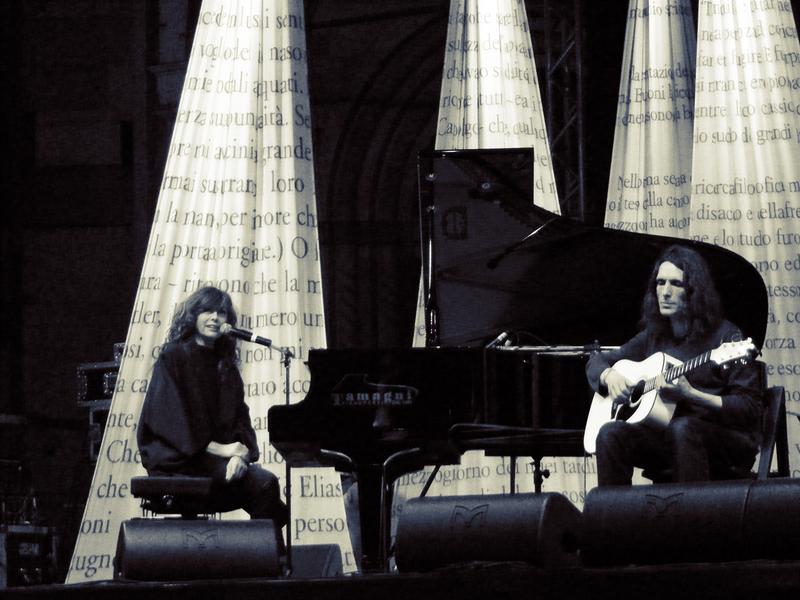 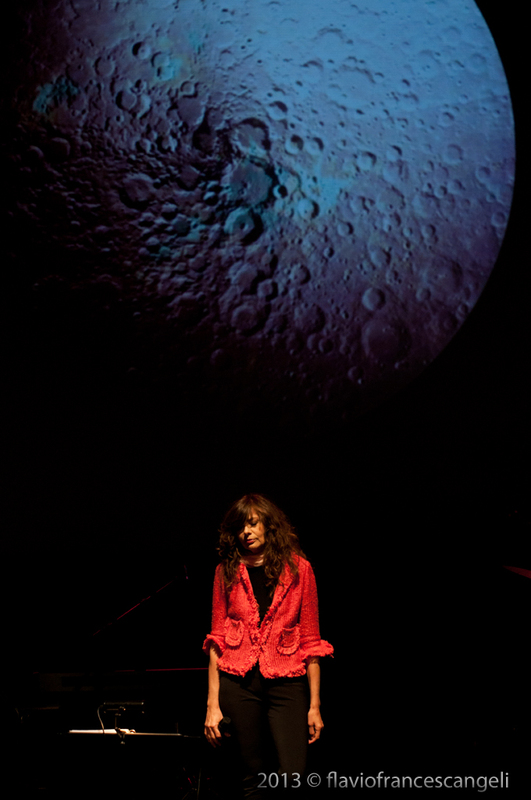 In the mini-concert of Alice (all in all 14 tracks) there is also room, from her last work, for the wonderful “Un Mondo a Parte”, touching ode to loving each other in the life as a couple, and, among the old songs, “Dammi la Mano Amore” (written, says the artist, almost as the only possible reaction to the suffering of which she was a direct witness, in the wake of a humanitarian association of doctors in the former Yugoslavia’s war), “Anin a Gris”, a poem in the Friulan dialect by Maria di Gleria, the beautiful “Nomadi” “by the great Juri Camisasca”, Il Sole nella Pioggia”, by the same Camisasca, song which, in ’89-’90, hauled the album to the top charts positions. 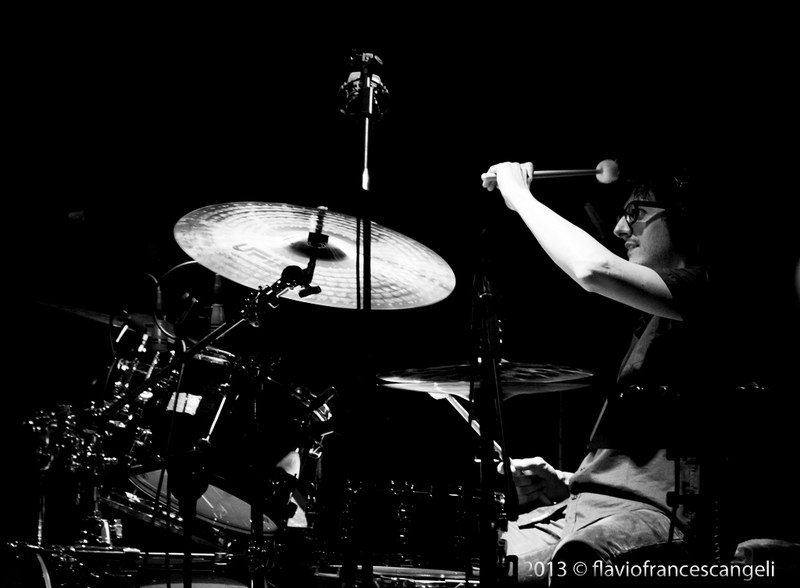 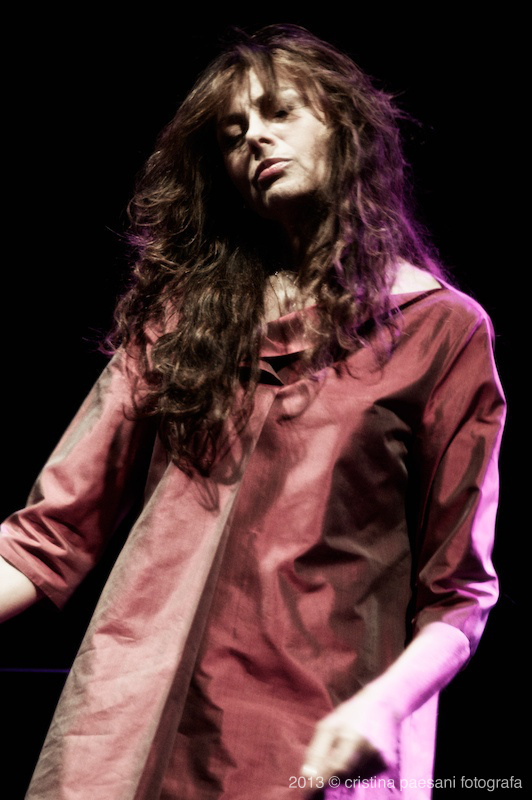 It’s a shame that Alice did not perform, as had done in the winter stages of the tour, the hits that made her popular, such as “Per Elisa”, “Il Vento Caldo dell’Estate” and “Messaggio”, which, especially in the exclusive concert with Battiato, could be well expected and that, apparently, she had also rehearsed before the concert. 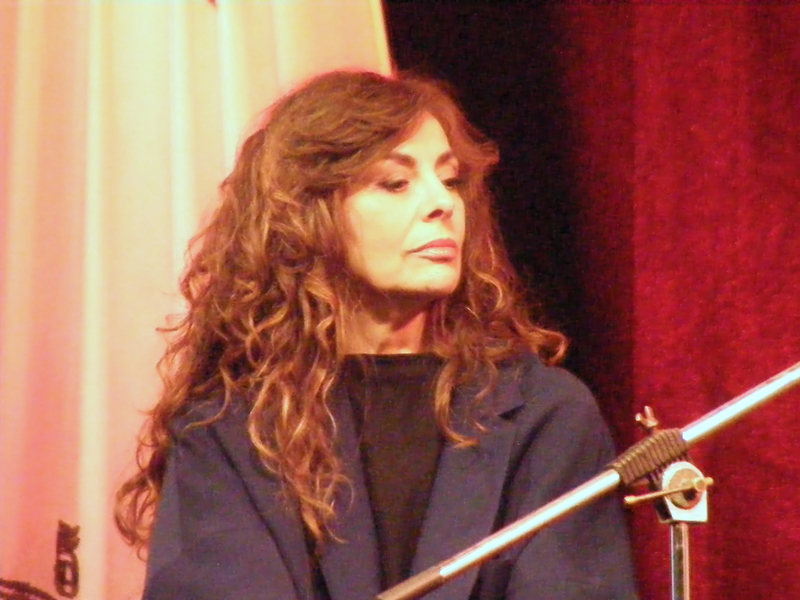 Likewise, the more attentive fans maybe would not have disliked another song from the eighties by the Sicilian singer-songwriter, among those reinterpreted by Alice in the ’85 album “Giuoielli Rubati”, or, to mention again the record production of Alice, a bit more from the wonderful album “Park Hotel” or a song from the latest CDs. 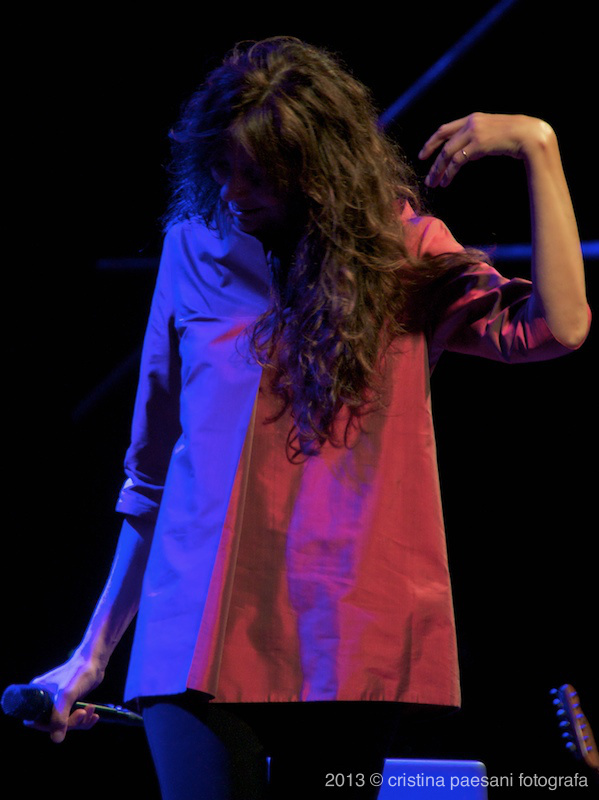 But that was it: the double concert formula did not allow to give more, even though the audience, when Alice announced that her performance was almost over, manifested its displeasure. 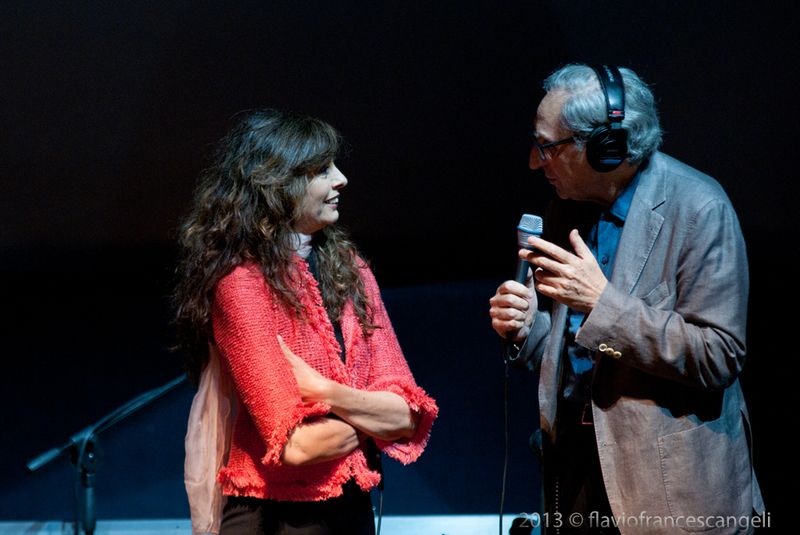 Yes, because, as mentioned, if the huge audience that follows live Franco Battiato has enjoyed in recent years more performances of the Master, the ones who appreciate Alice, and maybe followed her with fidelity and admiration even in the two decades of her more secluded career, would not want to come off too early from the emotion and magic of her voice, the rarefied and intimate sounds, the lyrics, never dull, in which life, poetry, love and pain chase each other and make us meditate. 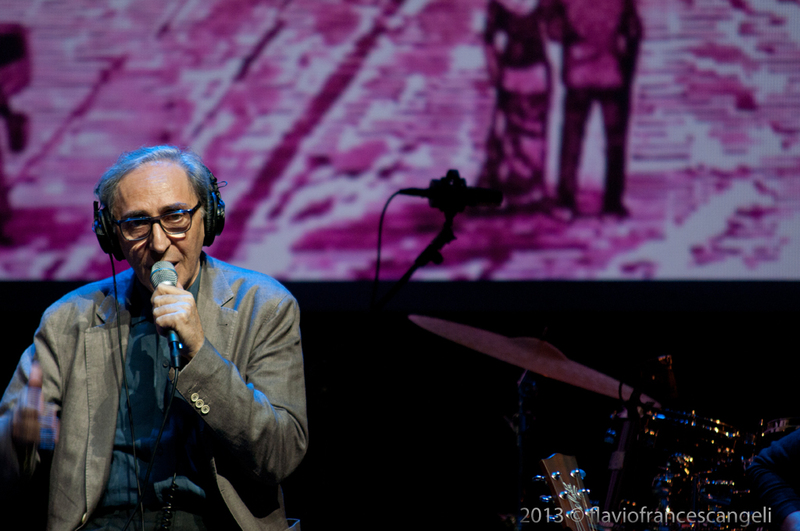 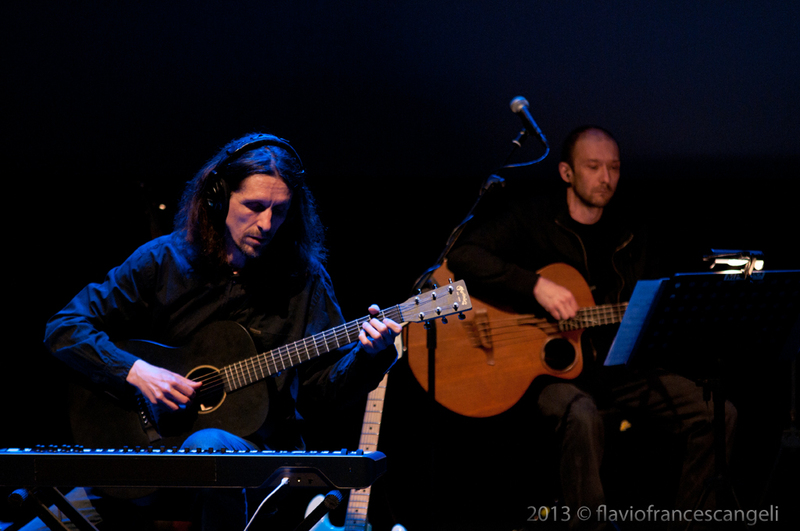 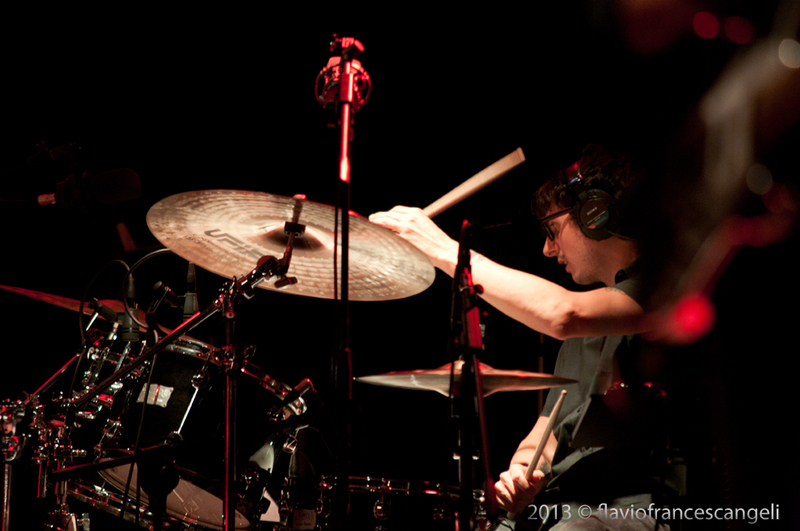 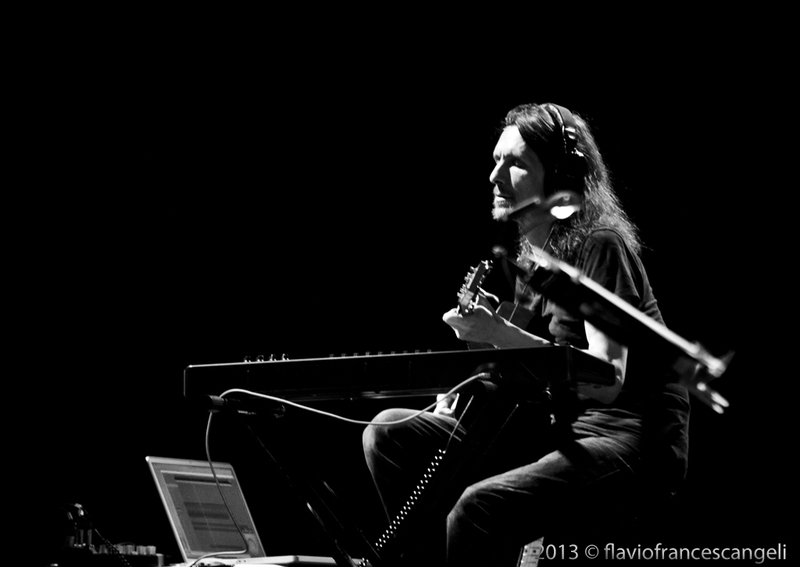 When it’s Battiato’s turn to go on stage with his more crowded band (in addition to Carlo Guaitoli on piano, Angelo Privitera on keyboards, the wild Davide Ferrario on guitars, Andrea Torresani on bass and Giordano Colombo on drums, there are also the strings of the Nuovo Quartetto Italiano), the audience is immediately captured from the start, when the artist from Catania, who, in summer, does not give up to sit on his inseparable Persian rug, presents one after the other four rich episodes of his last “Apriti Sesamo”, starting with the beautiful “Un Irresistibile Richiamo”, which chorus contains a quote from St. Teresa of Avila, continuing with “Quando ero GIovane”, a distinctly autobiographical song in which Battiato sings that “to live is a gift made from heaven,” then “Passacaglia”, catchy and provocative, inspired by a poem of a priest of the seventeenth century, and “La Polvere del Branco”, ruthless analysis of the mistaken idea of ​​freedom in modern society. 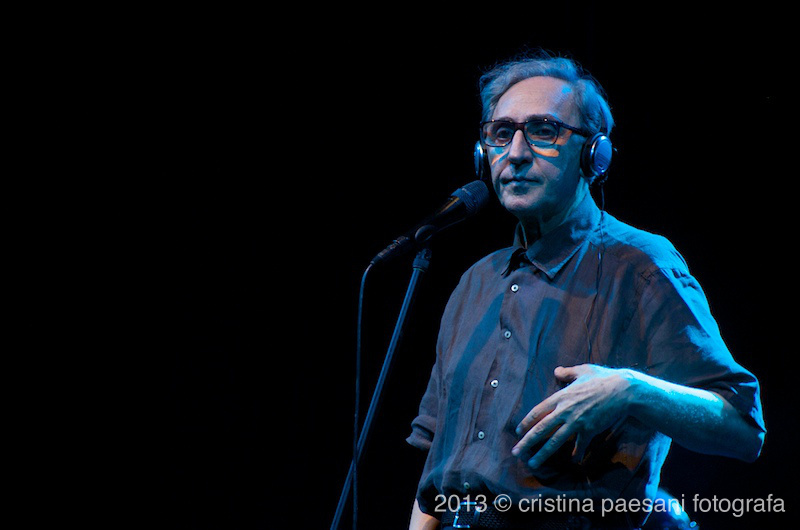 During the time he sings alone, between a joke and another with the audience, Battiato ruffles expectations, as usual, by including in the playlist, even in spite of the choices of the winter tour, extraordinary songs of his more than thirty year- old repertoire, such as “Il Re del Mondo” (which “keeps our heart captive”…) and “Un’altra vita”, with which at the beginning of the eighties, he sang the inevitable alienation caused by the stress and noise of the busy city life. 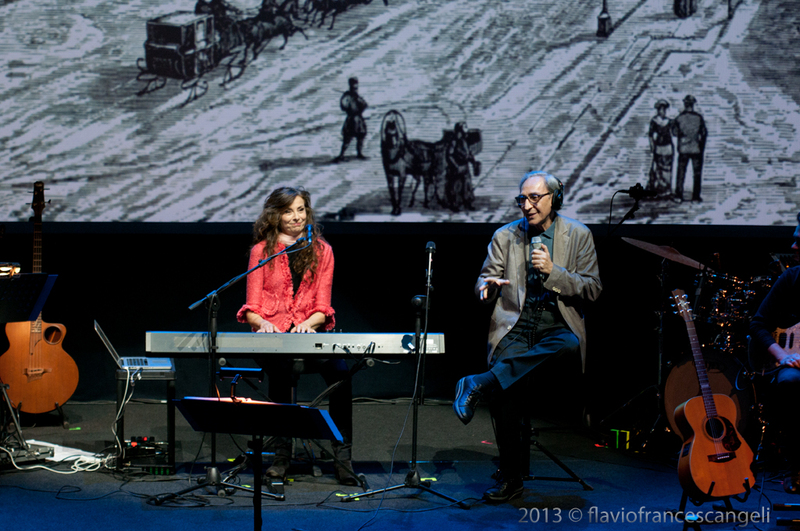 Before meeting with Alice, there is still time for the masterpiece “La Stagione dell’Amore” and two other surprises, taken from the first of three “Fleurs” albums in which Battiato has reinterpreted classics of the sixties and seventies that he himself introduces as two songs composed by two great musicians: “La Canzone dell’Amore Perduto” by Fabrizio de André and “La Canzone dei Vecchi Amanti”, by Jacques Brel. 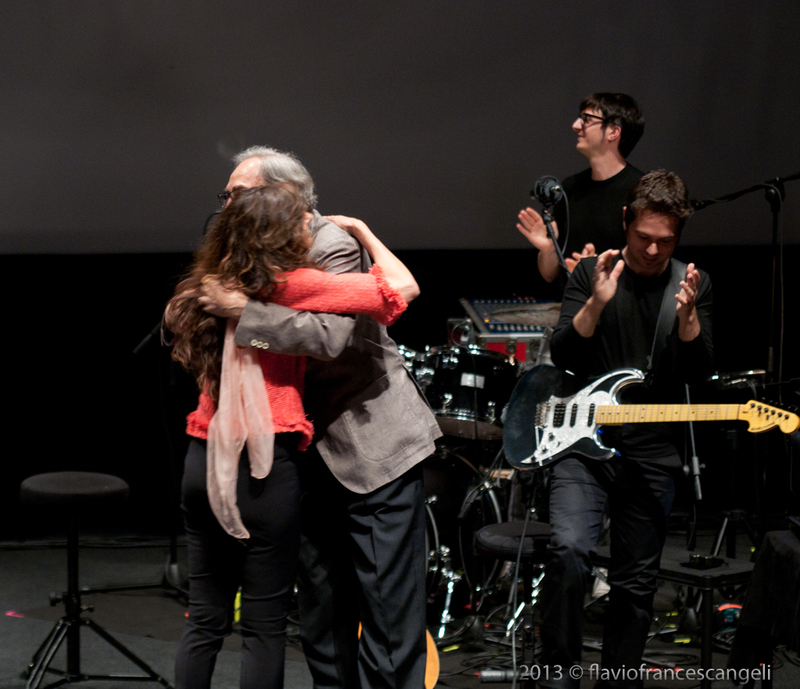 The audience was worked into a frenzy and then Alice goes backstage again, not before she had affectionately hugged Master Battiato. 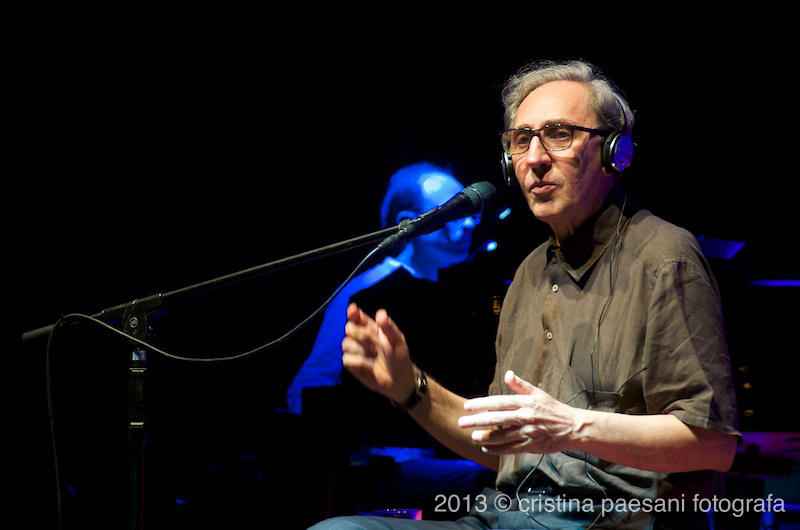 With the hidden hope that the duo would possibly encore later, we resume listening to the Battiato only, who gives “La Cura”, one of the songs with the highest musicality and poetic inspiration of his career (why, this one too, not sang along with Alice who had already given a sublime live interpretation of it a few years before, which then was recorded in in the live album “Lungo la strada” in 2009? 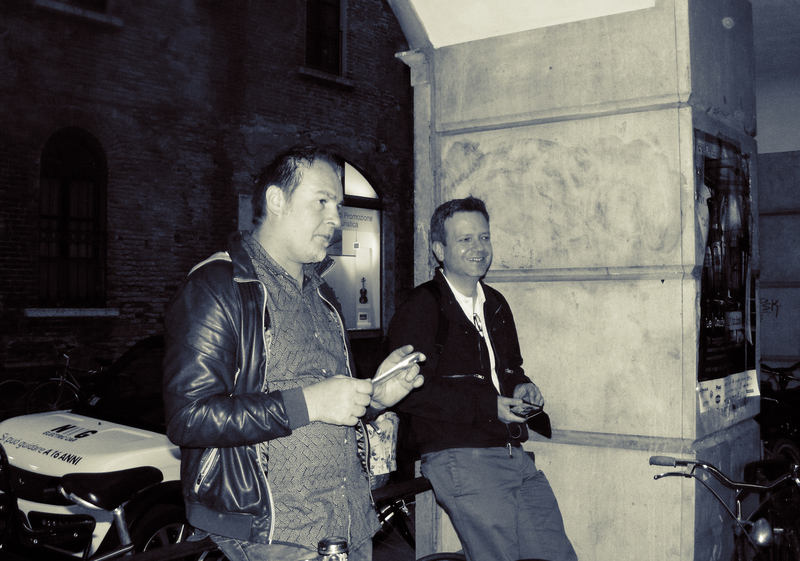 …). 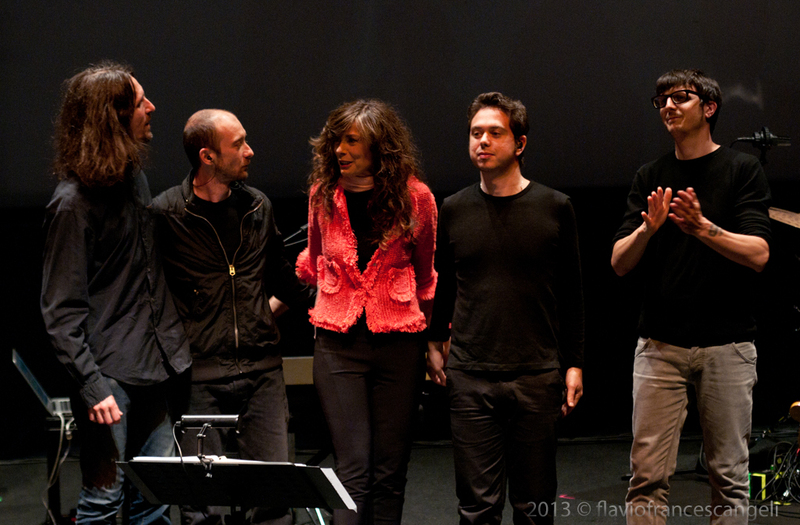 Then followed the surprise of “Tutto l’Universo Obbedisce all’Amore”, song wich the musician of Catania recorded with the voice of Carmen Consoli in the opening of “Fleurs 2”. 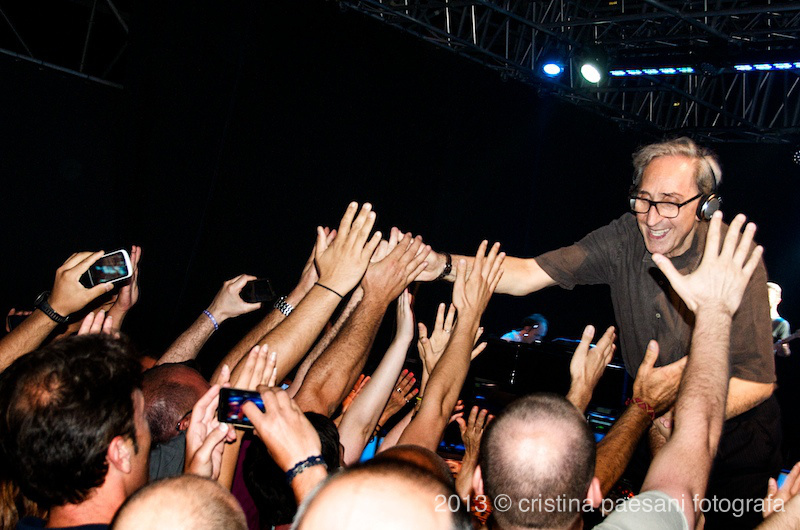 And after the magnificent “E ti Vengo a Cercare”, in which he sings the need to “seek the One above good and evil”, there the party obviously begins, especially with the hits from the album “La Voce del Padrone” (Bandiera Bianca, Cuccurucucu, Centro di Gravità Permanente), and, with the audience now standing and many fans below the stage dancing and singing out loud, then follow “L’Era del Cinghiale Bianco”, “Voglio Vederti Danzare” and the most recent rant “Inneres Auge”. 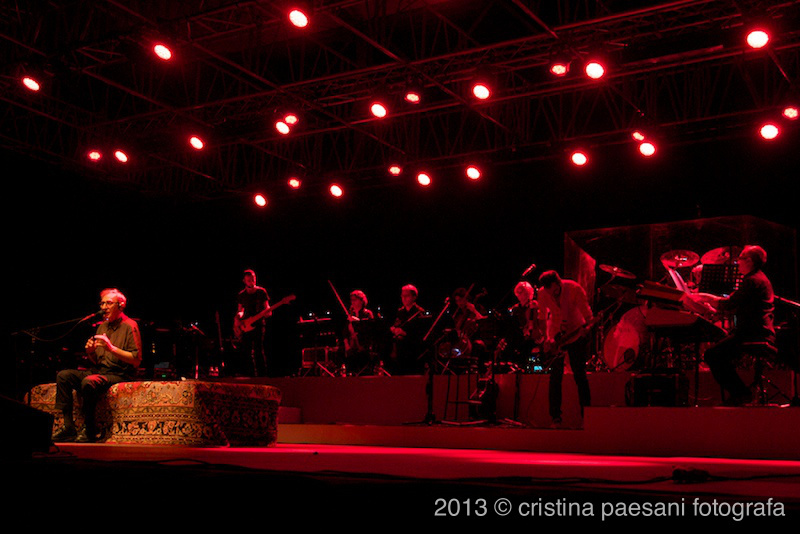 It’s fifteen minutes past midnight when the curtain falls on the show in the cozy outdoor location of the Arena Grandi Eventi at the Latina Expo. 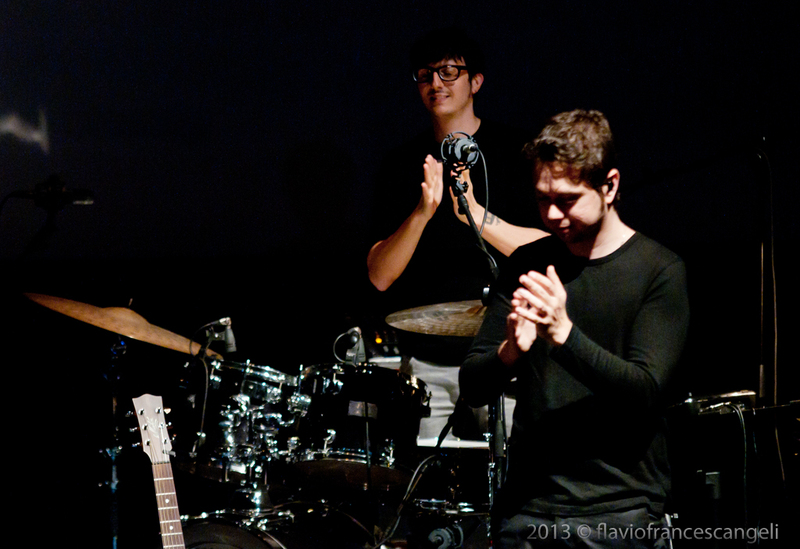 After emotions and great music we leave with the certainty of having witnessed a unique event which, with the regret of not having enjoyed most from Alice and some more duets, has set on stage one of the highest and original chapters of the last decades in the history of Italian pop music. 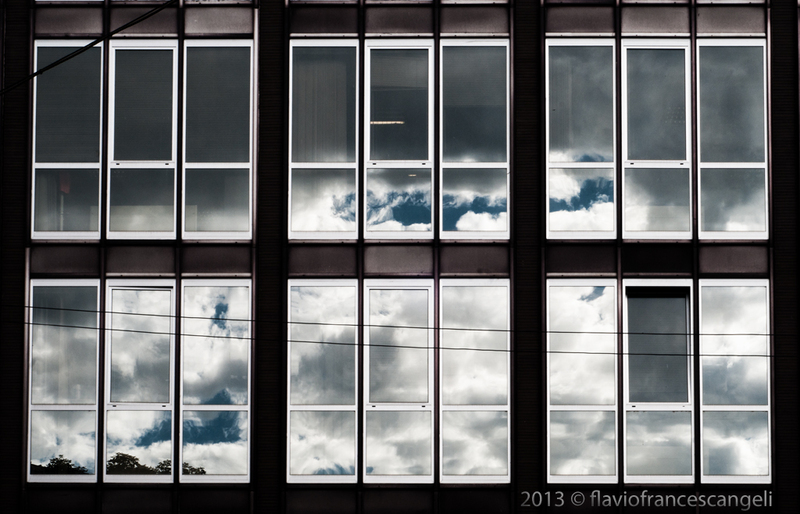 5:46 PM. 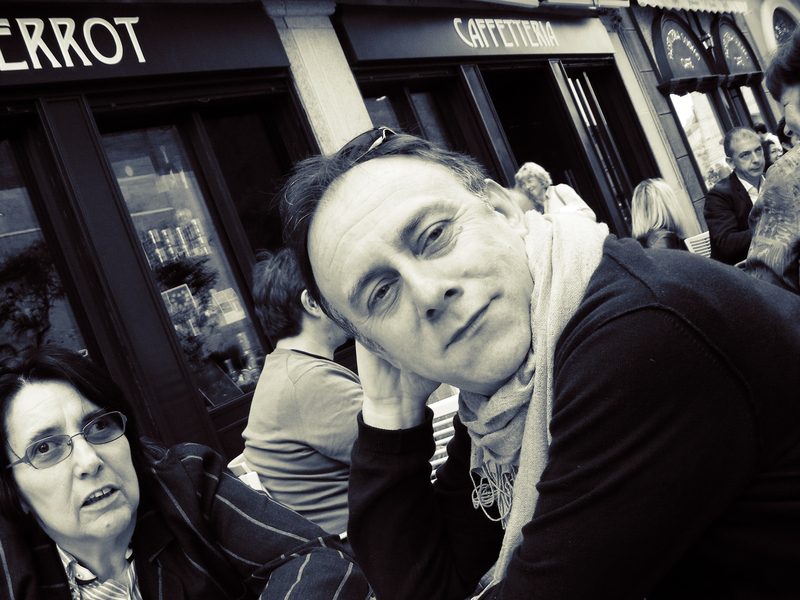 It’s a hot summer day. 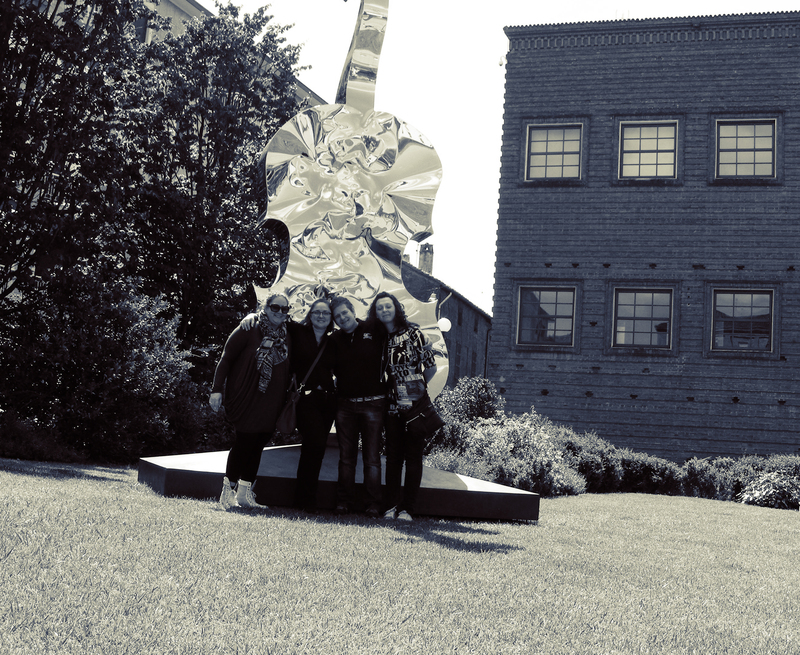 We’re here in front of the Arena after having struggled to find it. 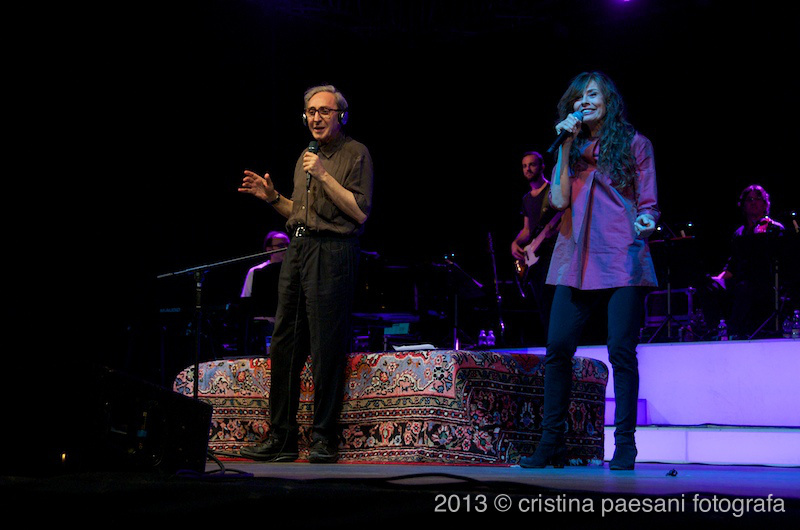 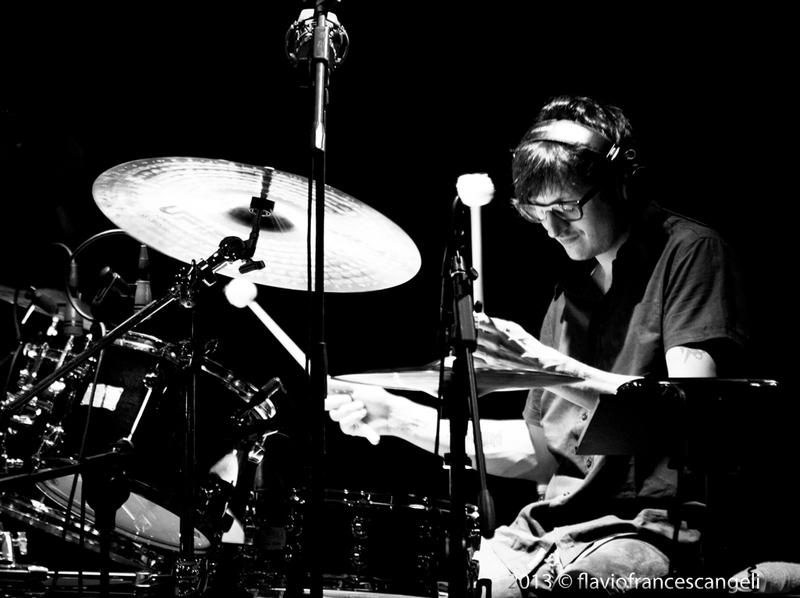 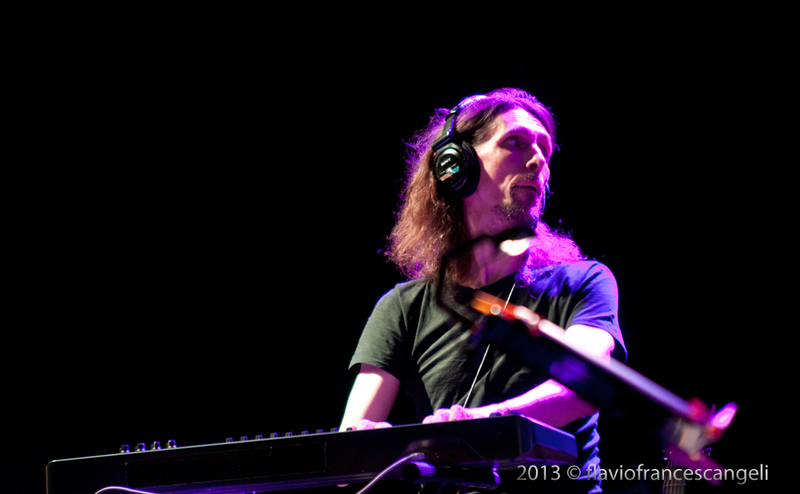 It’s Giovanni Caccamo, a young artist produced by Battiato, the one who start the evening with four of his songs, then Carla’s concert begins with a shortened program of the songs presented during the Samsara Tour. 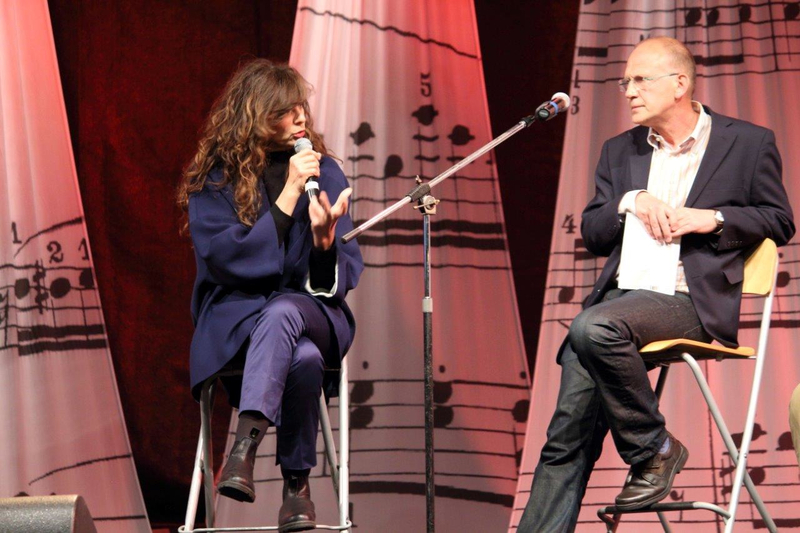 Then this moment of intimate sensations full of charm is just a little paused by the introduction of “Nata Ieri” (we are in the hometown of the author). 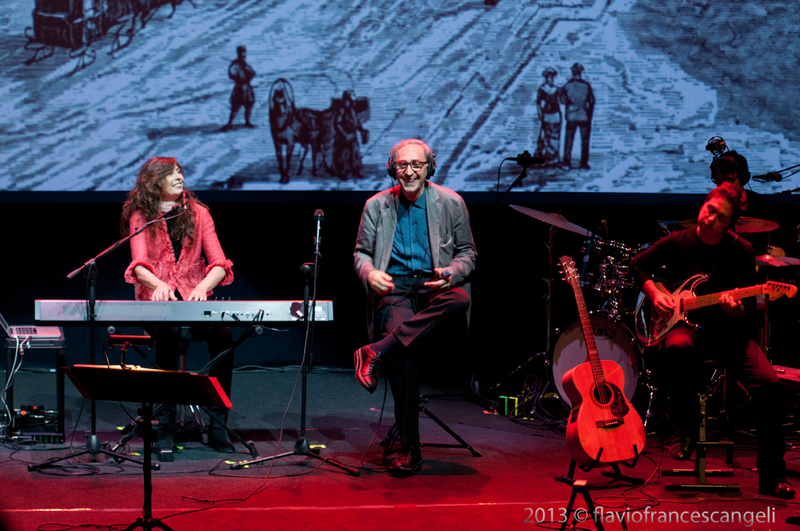 After Carla, Battiato gives out the best of himself with his musicians and string quartet: a fast pace and flawless performance of some songs from his latest work “Apriti Sesamo” and other among its biggest and best-loved hits. 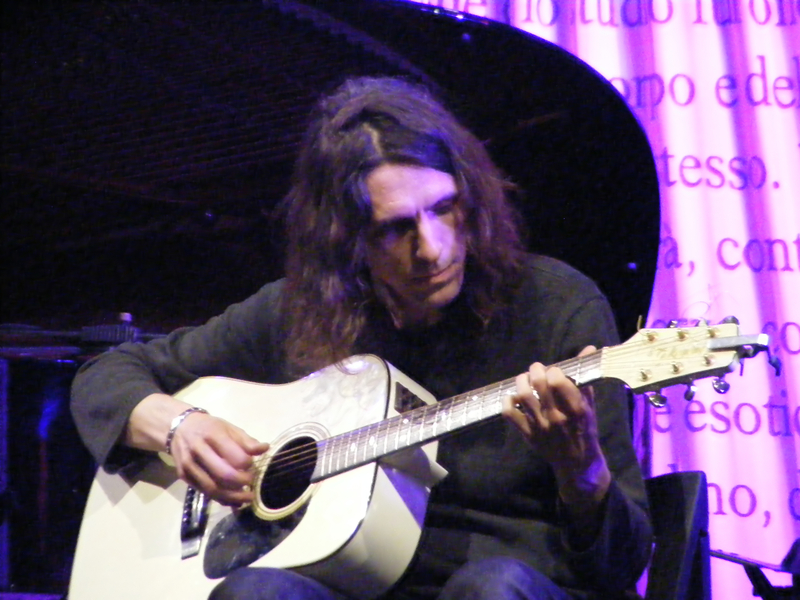 The he calls Carla on stage to sing with her three songs (only three songs), and then he finishes his hour and a half concert with the affectionate “delirium” of his fans and those of Carla, who, maybe, expected something more from this, nonetheless, wonderful evening. 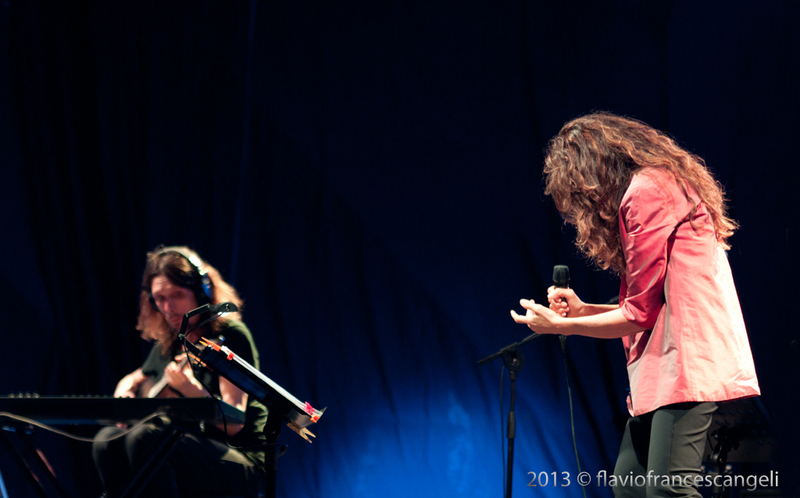 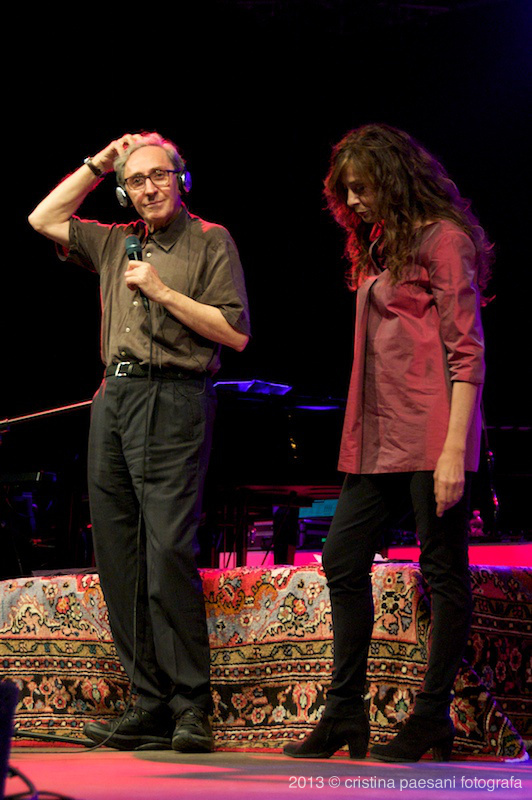 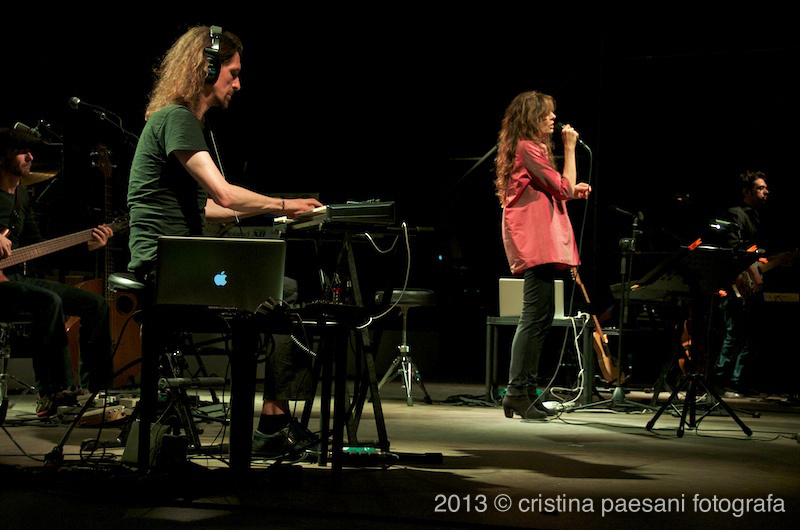 In the wake of “Prospettiva Nevski” it could have been a different Alice-Battiato concert, worth of these two awsome artists of equal and great value. 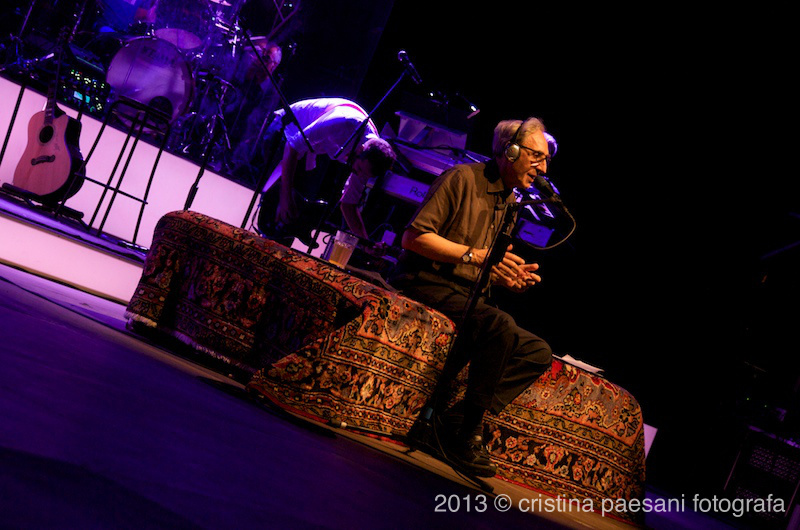 L’appuntamento è per il 30 luglio (ore 21:15) all’Arena Grandi Eventi dell’Expo Latina per un evento speciale che prevede un doppio concerto di circa tre ore: prima il live di Alice, poi Franco Battiato e infine i due artisti insieme sul palco. 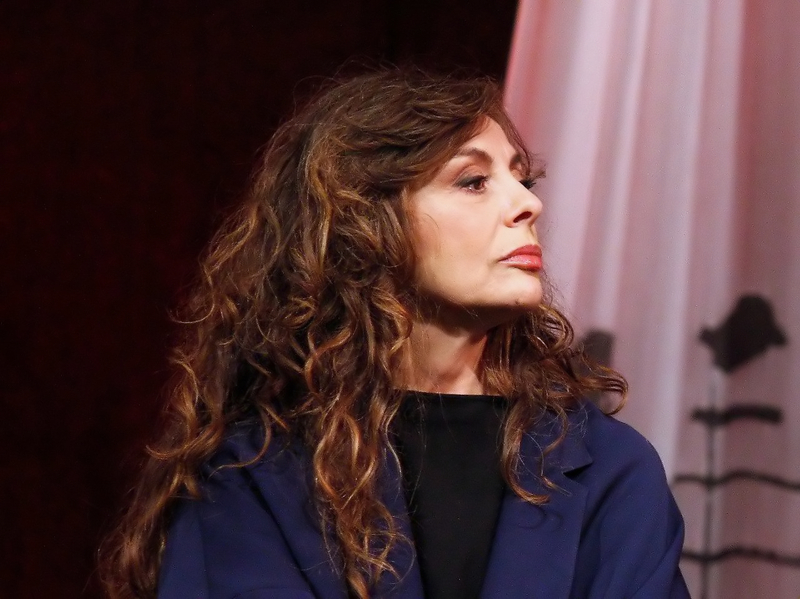 Organizzazione dell’evento e direzione artistica a cura della Ventidieci. 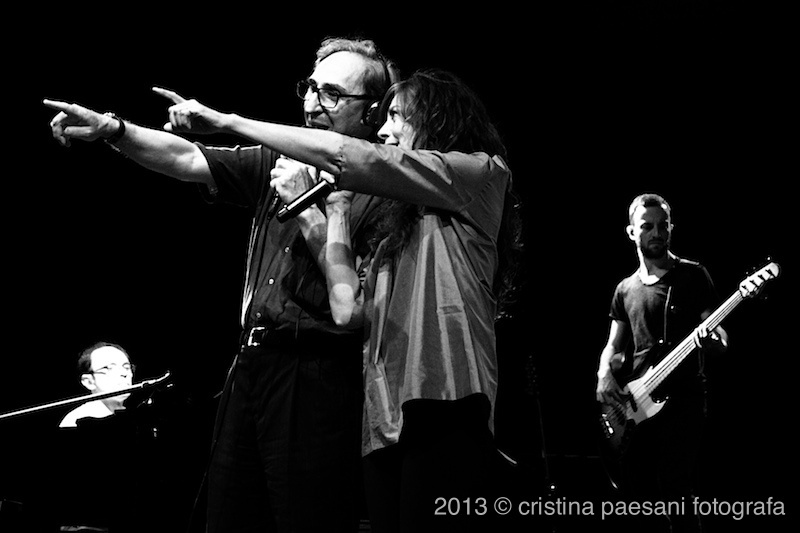 Arena Expo, Latina, July 30, 2013 at 9 pm. 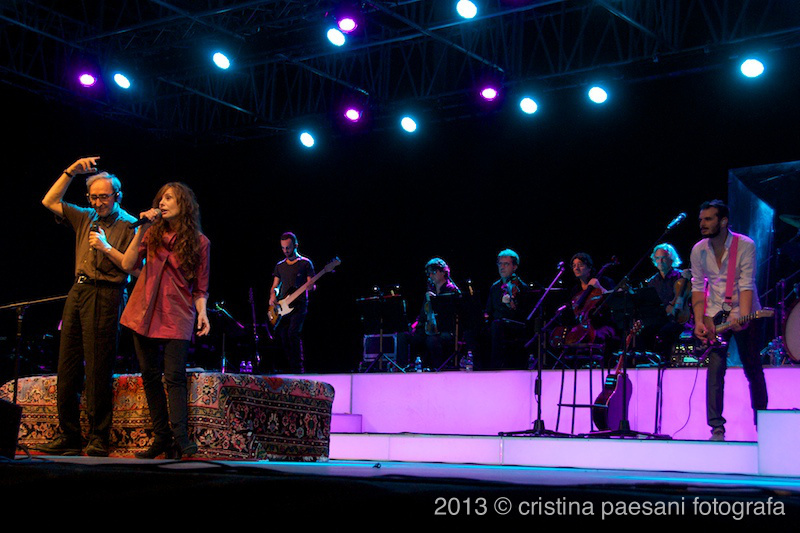 The event is scheduled for July 30 (9:15 pm) at the Arena Grandi Eventi, inside the Latina Expo, for a special event that will feature a double concert of about three hours. 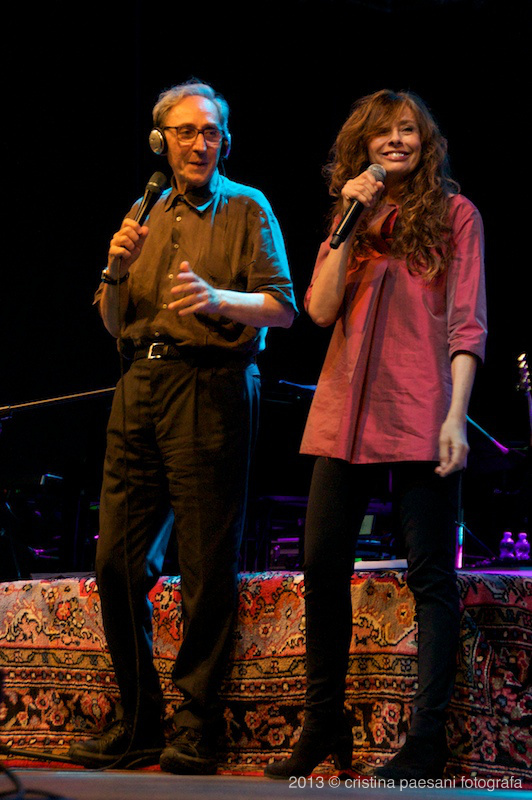 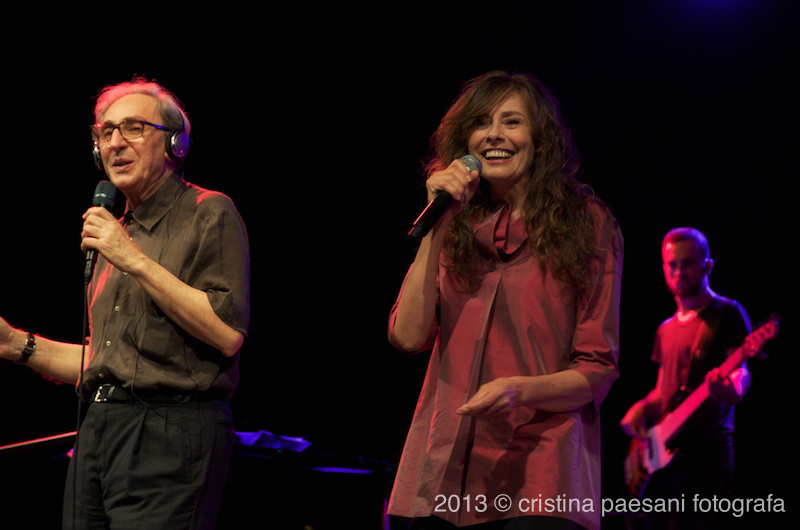 First Alice live, then Franco Battiato and then finally the two artists together on stage. 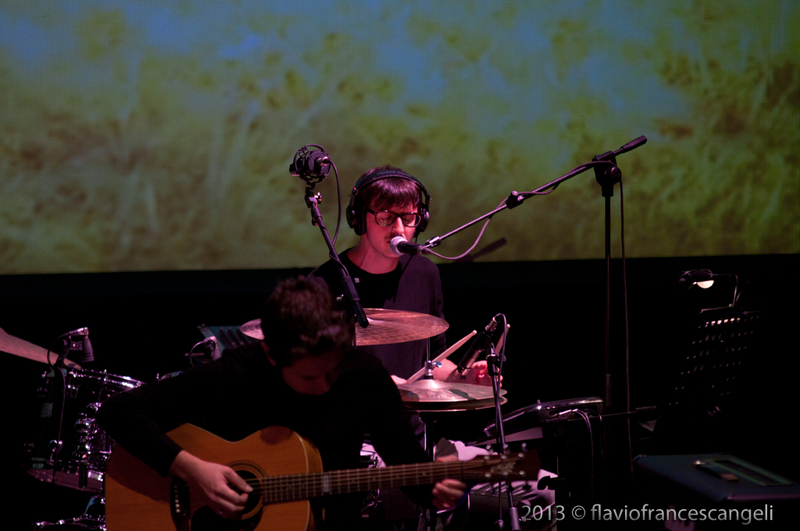 Event organization and art direction by the Ventidieci. 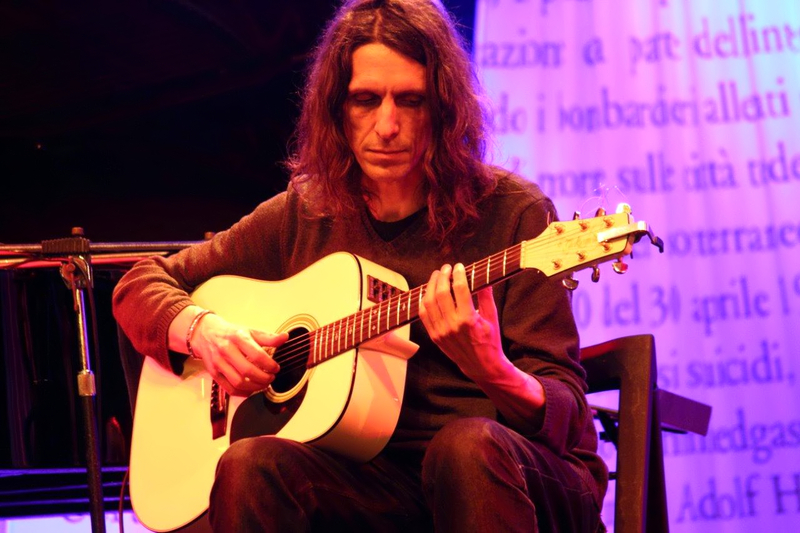 Una forma influenzale con conseguente faringolaringotracheite acuta, costringe Alice, impegnata con il suo nuovo tour italiano “Samsara Tour”, ad una cancellazione della data del concerto prevista per domani 22 febbraio al Casinò Park di Nova Gorica. 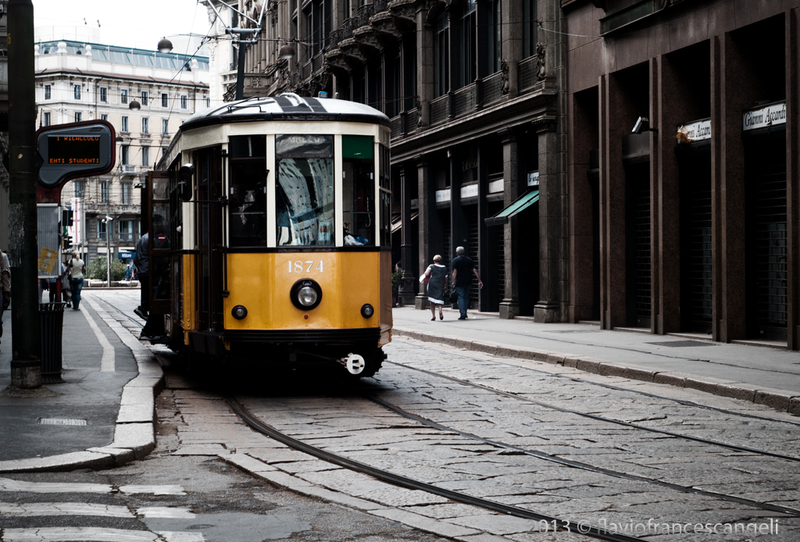 La data non verrà recuperata. 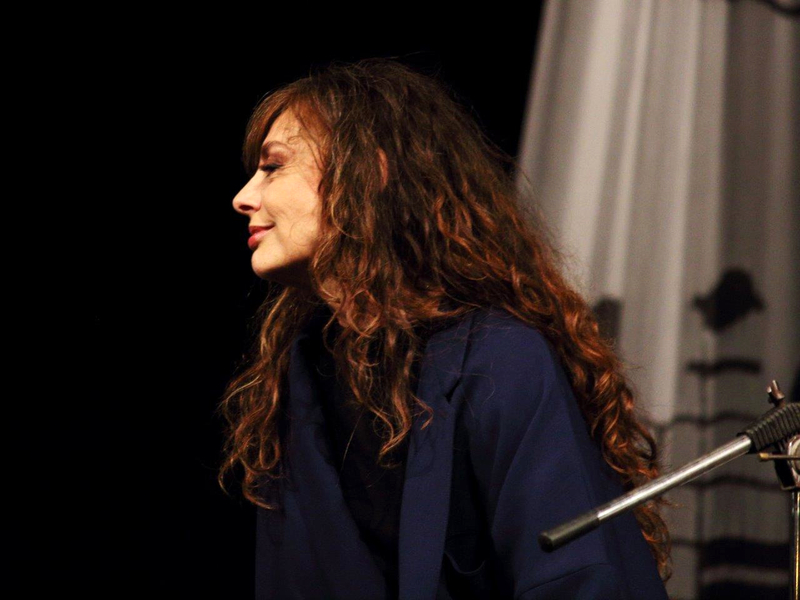 A strong form of flu resulting in acute pharynx-laryngotracheitis, forces Alice, currently touring Italy with her new “Samsara Tour”, to cancel a date of the concert scheduled for tomorrow February 22 at the Park Casino in Nova Gorica. 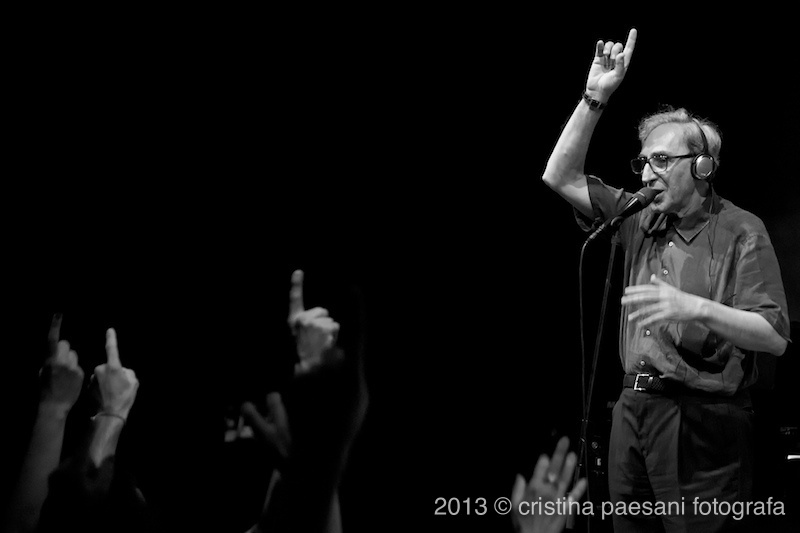 The date will not be made up.